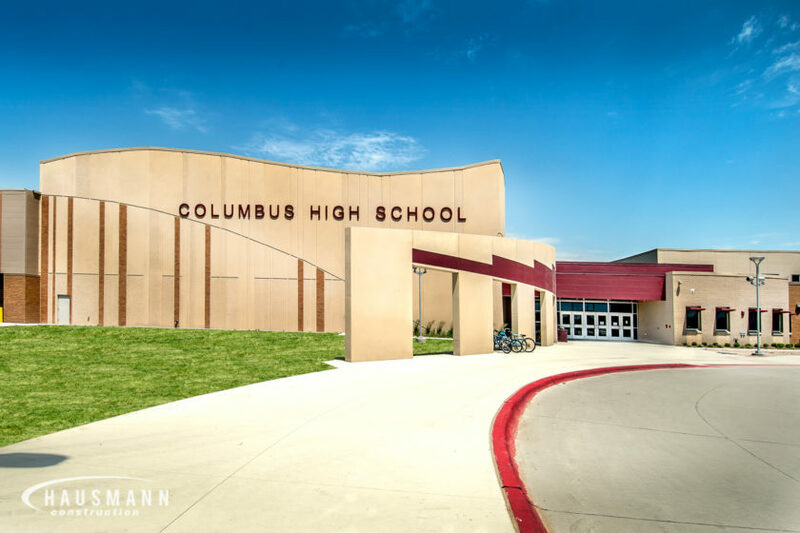 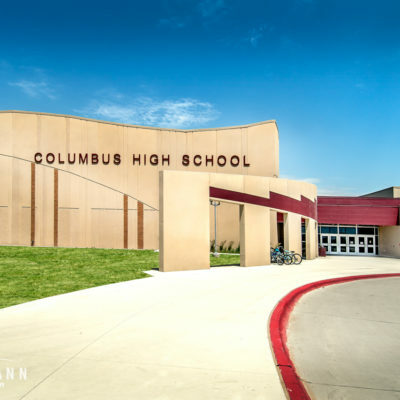 Columbus High School is a new 257,000 square foot educational facility, including two gymnasiums, wrestling and fitness rooms, music/drama wing, 740 seat auditorium, two-story classroom wing and an auto/metal/wood shop wing. 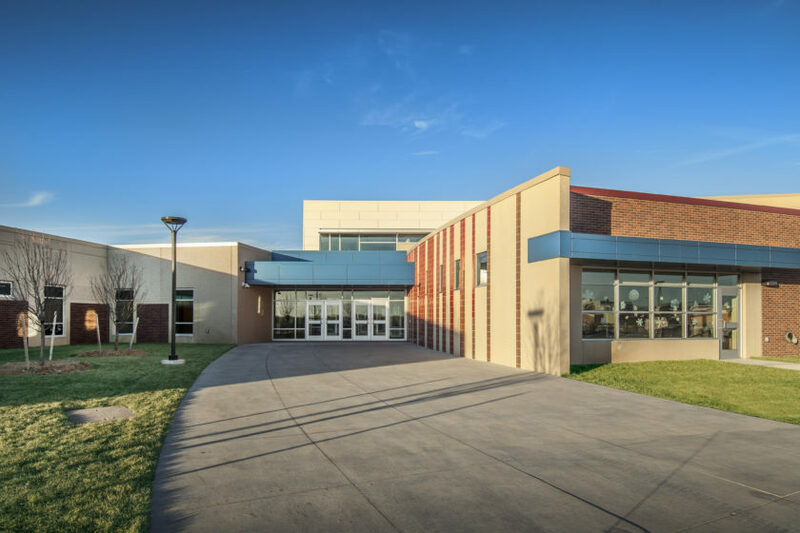 The building consists of four different construction types: structural masonry, precast, conventional steel and metal building system. 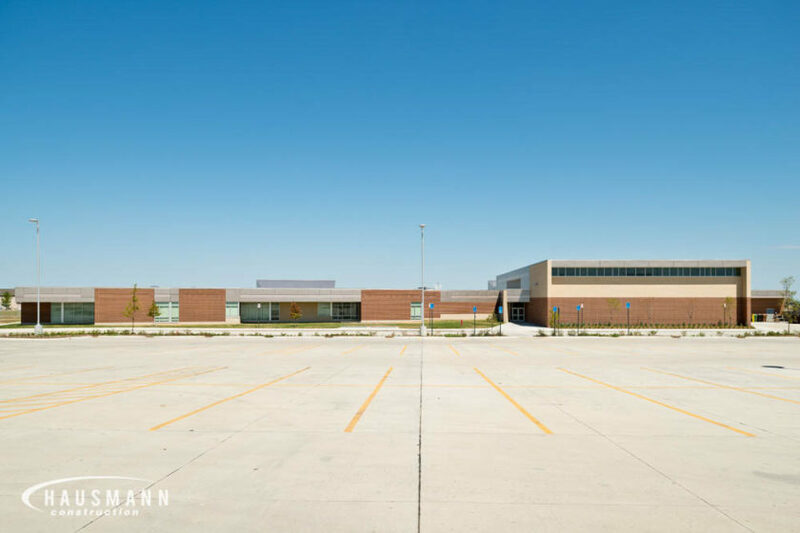 The new school also has 875 parking stalls for faculty, students and visitors. 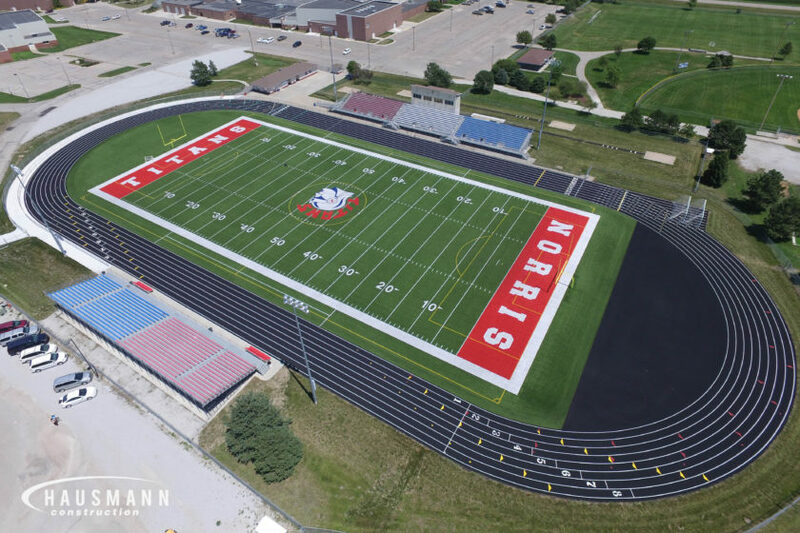 A new competition soccer/football field, a track with 500 seat bleachers, several practice fields and event areas for discus, shot put and pole vault are also incorporated into the project site. 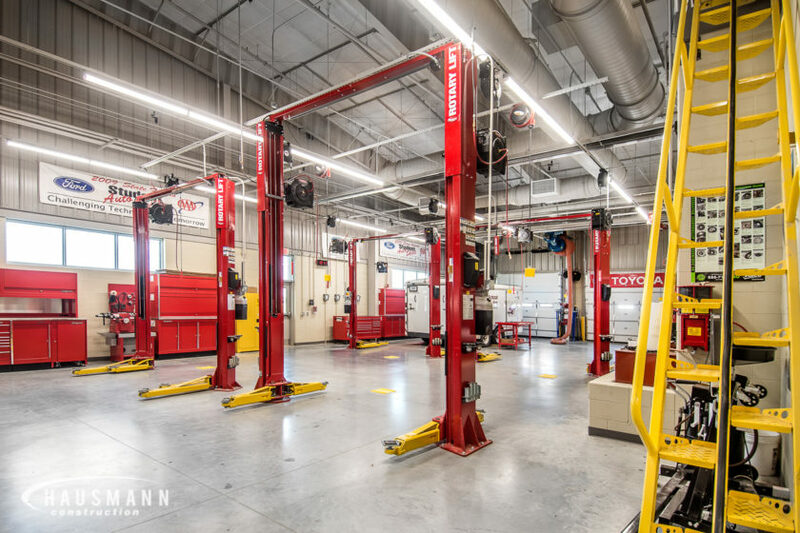 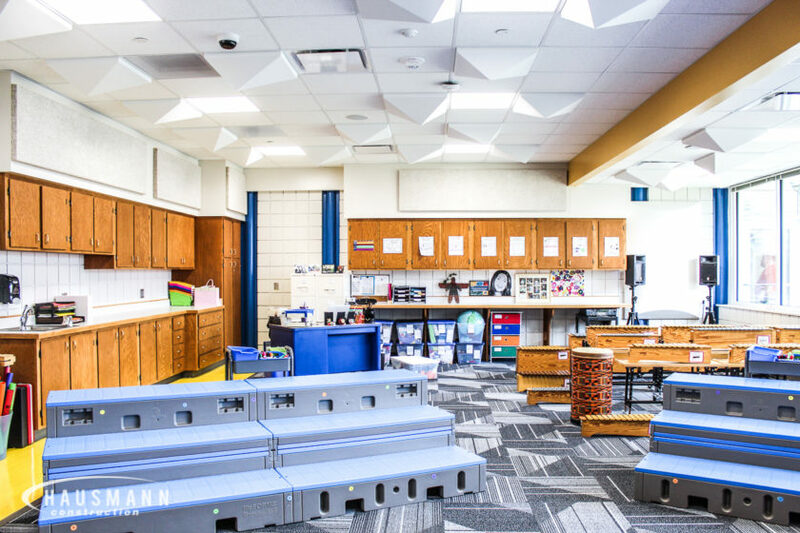 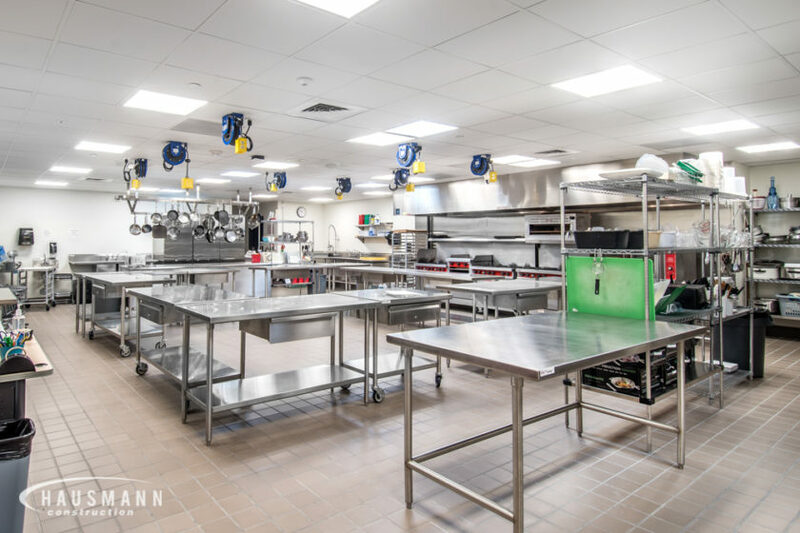 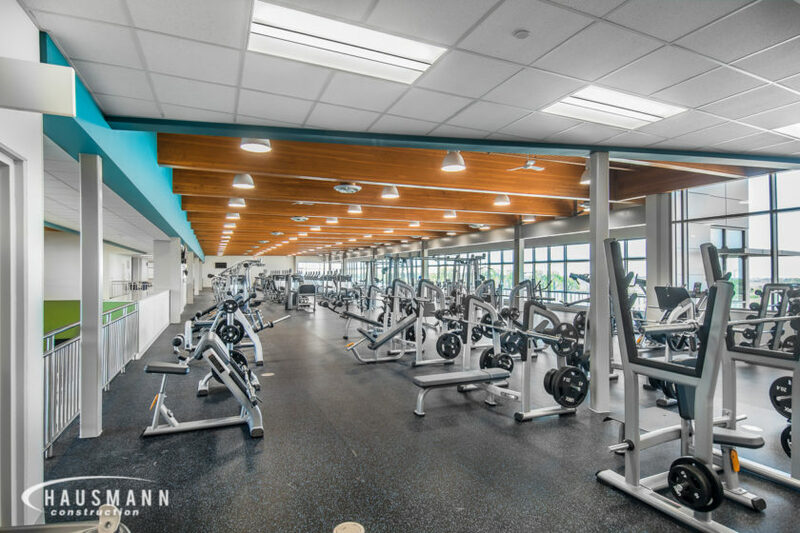 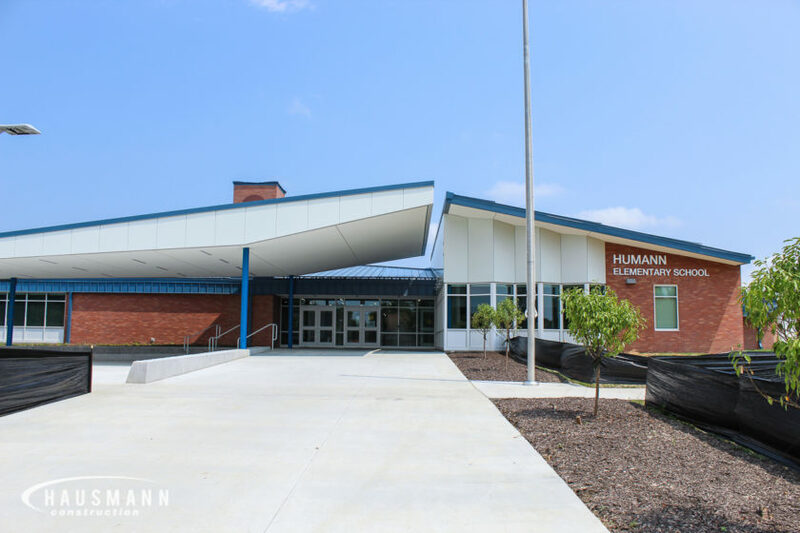 The Humann Elementary School project was an 80,000-square-foot interior remodel with an additional 10,000 square feet of new mechanical rooms, new geothermal well field and parking lot expansion. 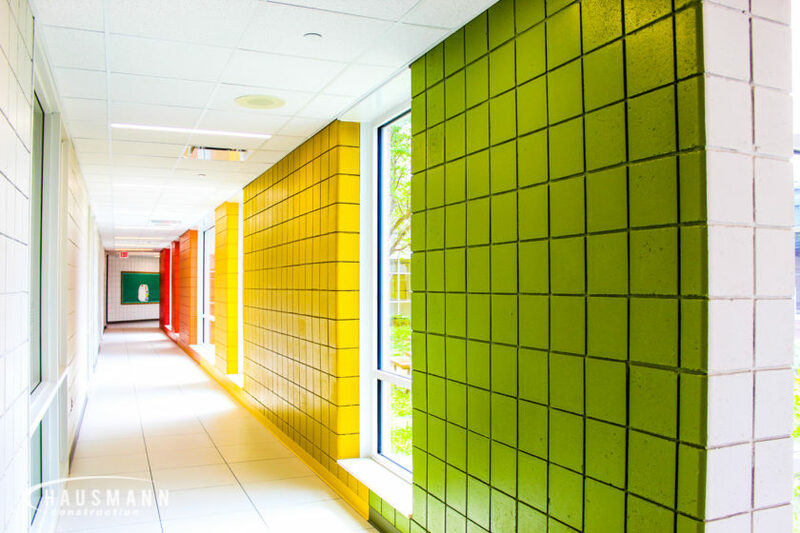 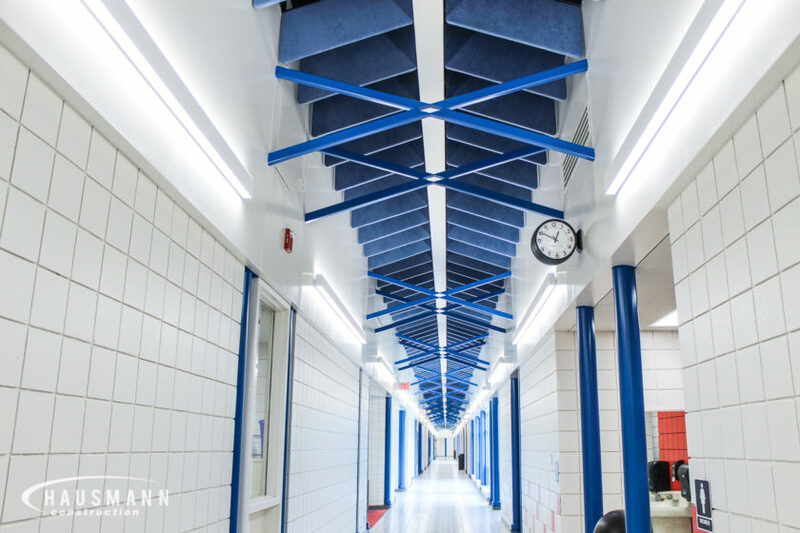 Interior renovations included MEP and upgrades to hallways, classrooms and common areas. 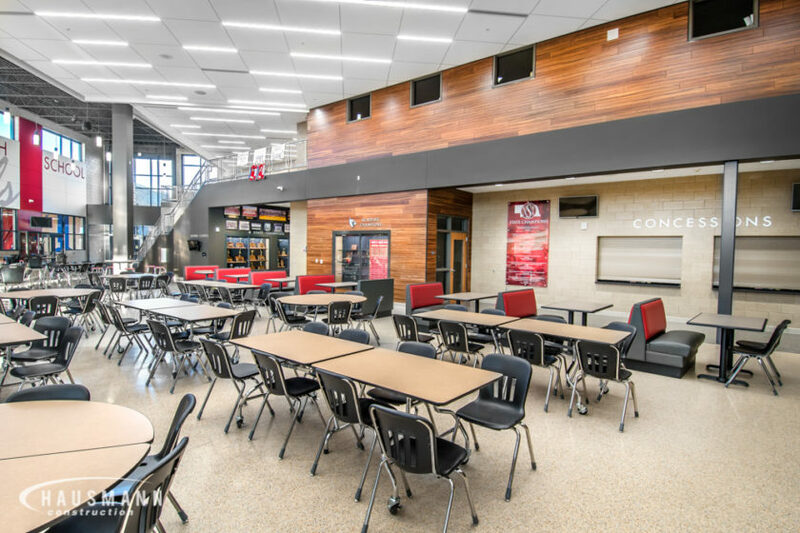 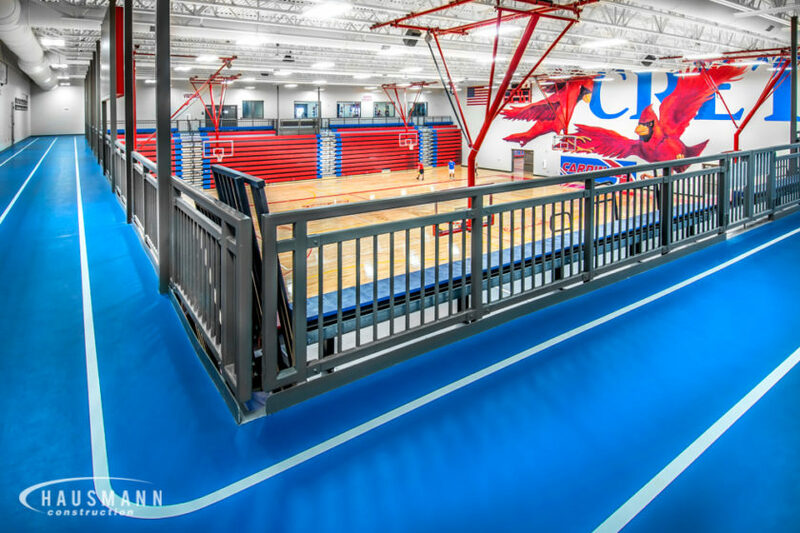 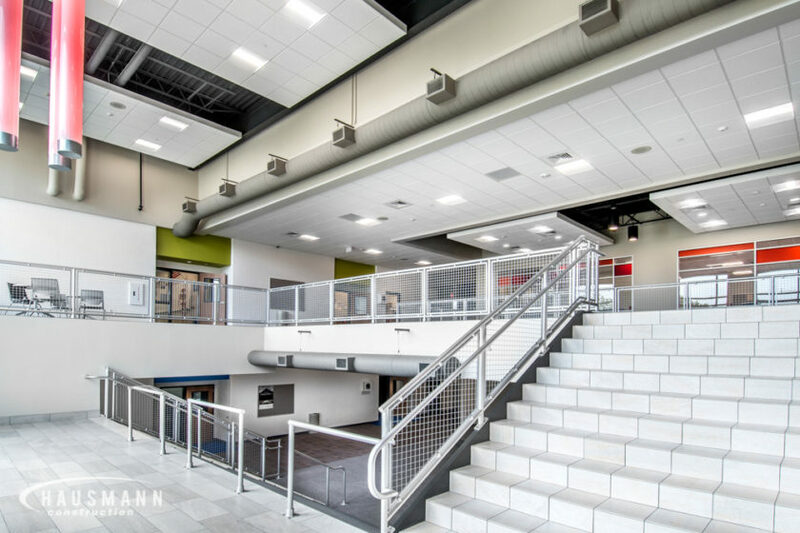 Hausmann Construction served as the general contractor for the Crete High School project which opened to students in January 2016. 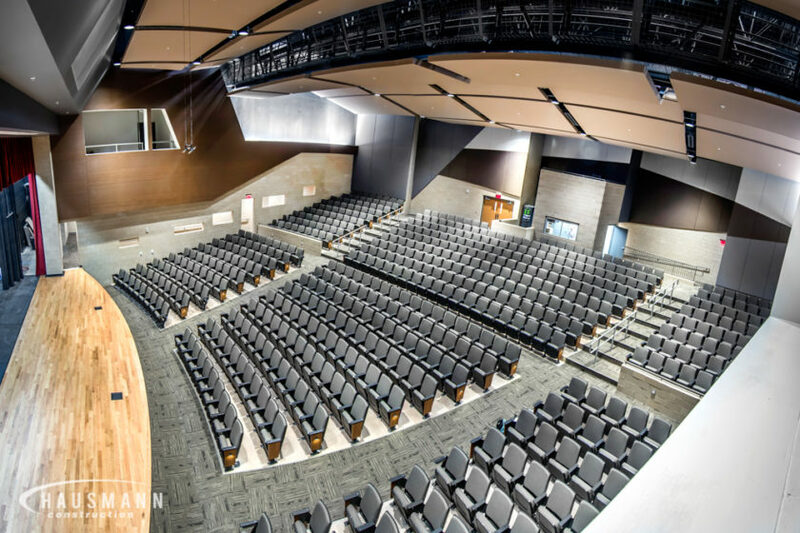 The main entry of the 174,000 square foot building opens to the two-story commons area, which is flanked by the 645 seat auditorium. 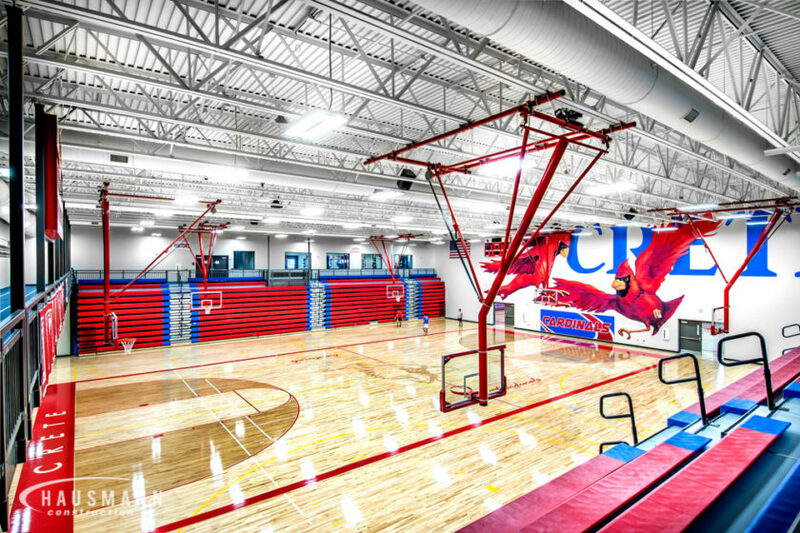 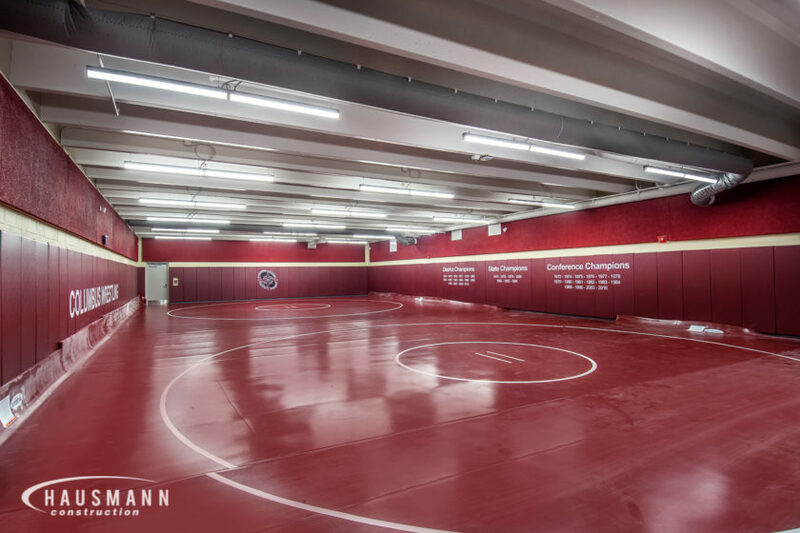 A competition gymnasium and practice gymnasium are surrounded by a walking track, weight and wrestling rooms. 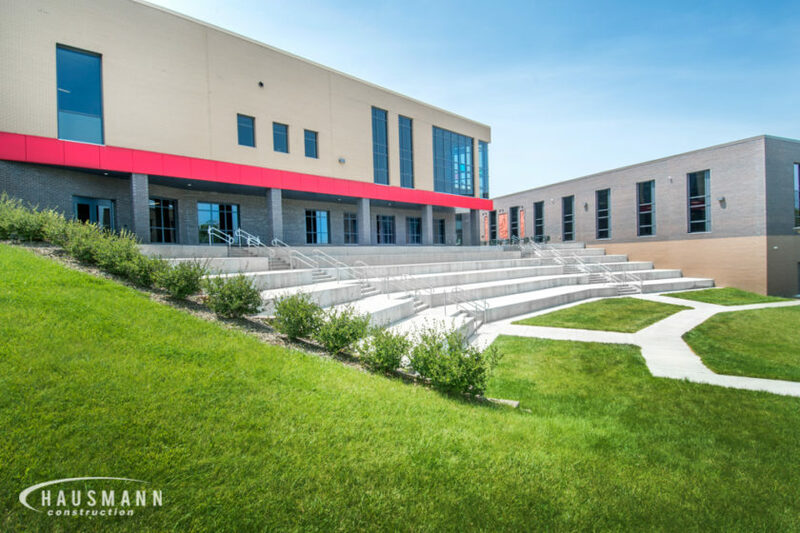 The high school features an amphitheater and patio space outside for additional learning space. 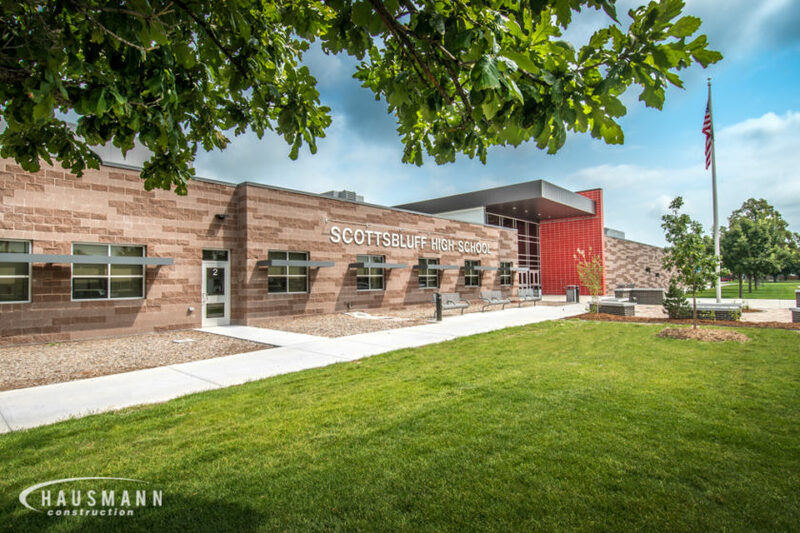 The new school is built to be energy efficient with 300 wells in the geothermal field, LED lighting, water bottle filling stations and e-rated glass throughout. 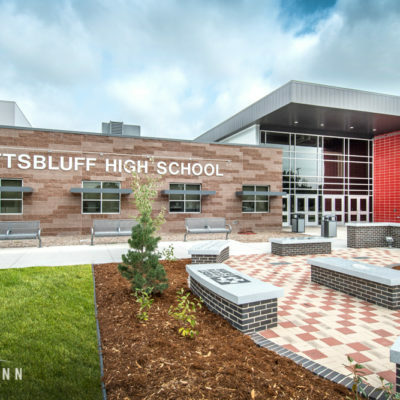 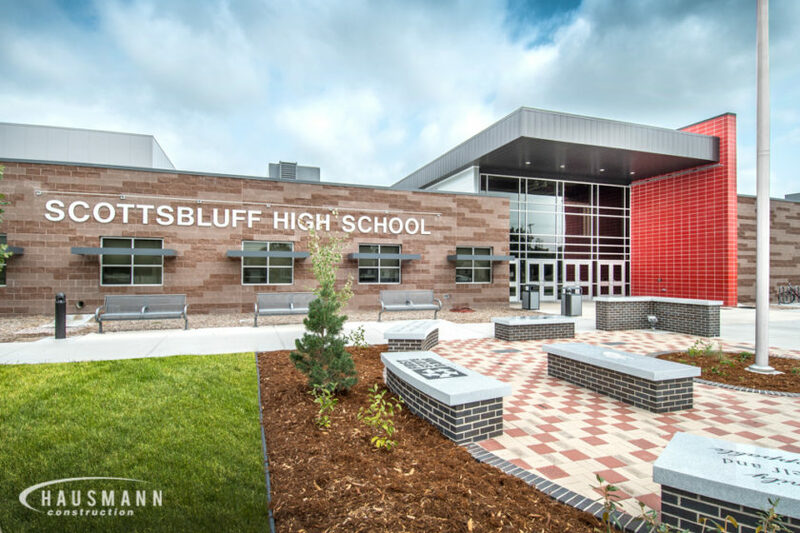 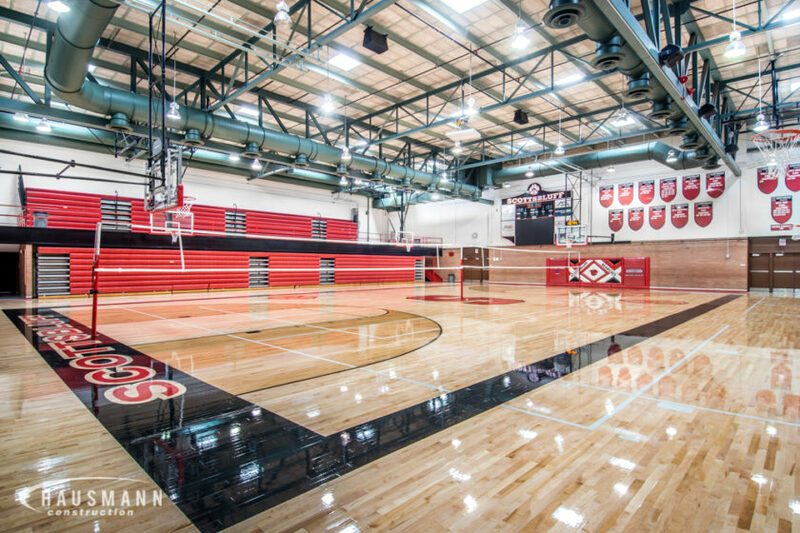 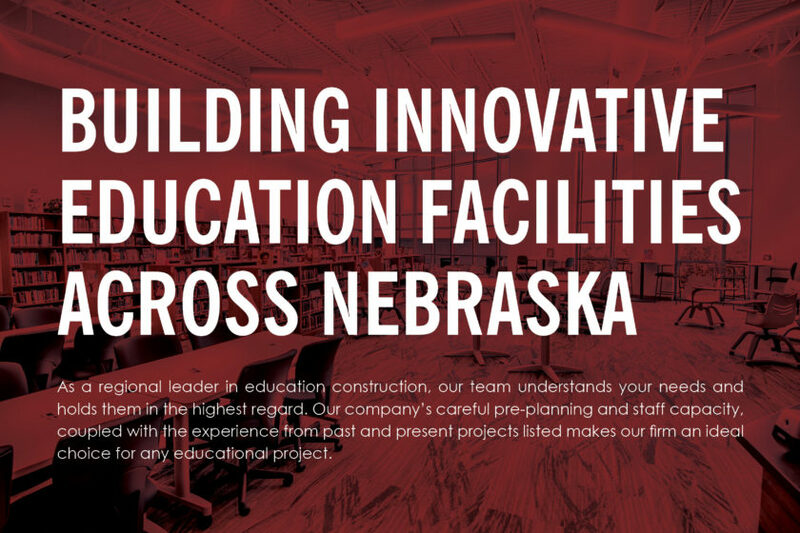 New construction and renovation to a 239,000 square foot high school in Scottsbluff, Nebraska. 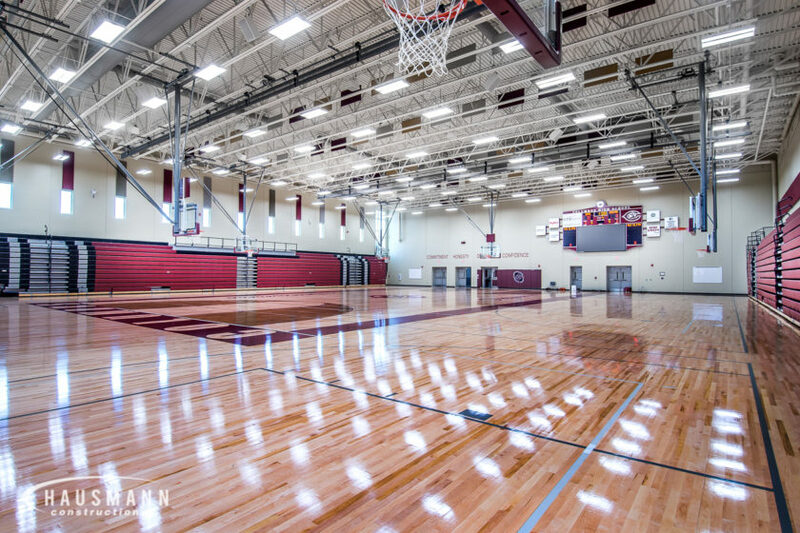 The project includes remodeling of the locker rooms, an update of all interior flooring and fixtures and security improvements including a new central main entry on the south side. 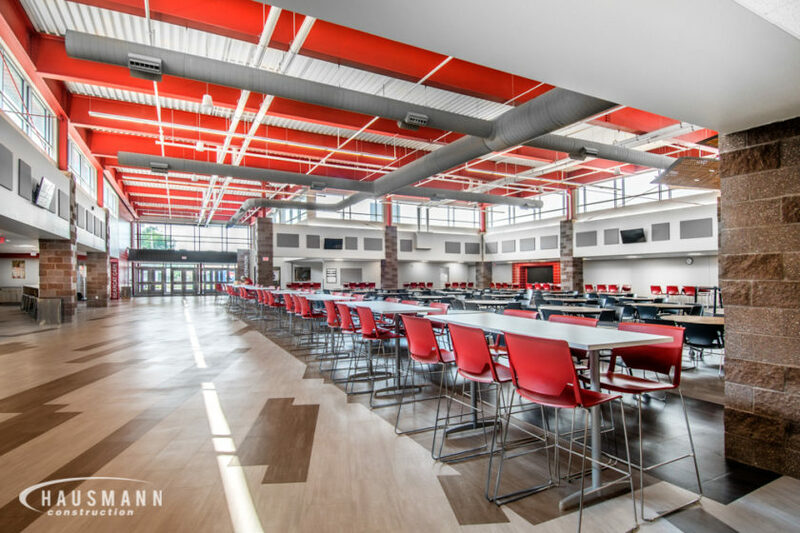 Construction of a new kitchen and cafeteria, freshman classrooms, auxiliary gymnasium, wrestling room and weight room complete the updates to the new High School. 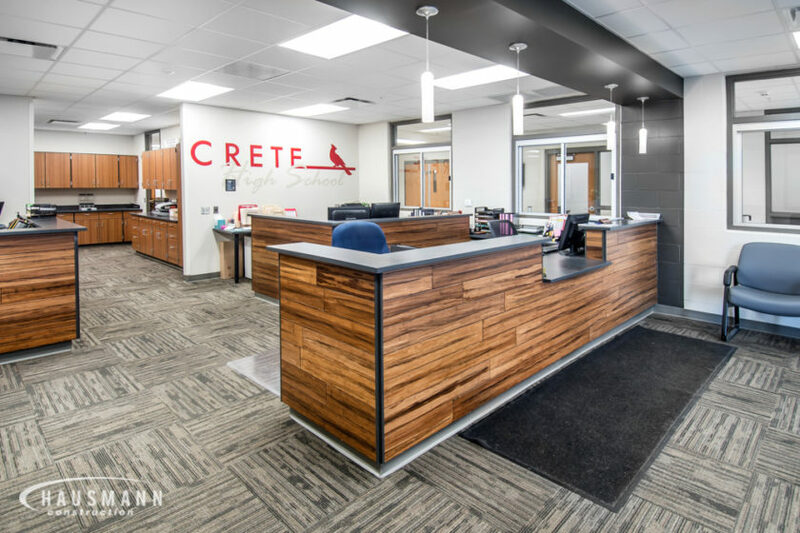 This project was a renovation of the old high school into the new Crete Middle School. 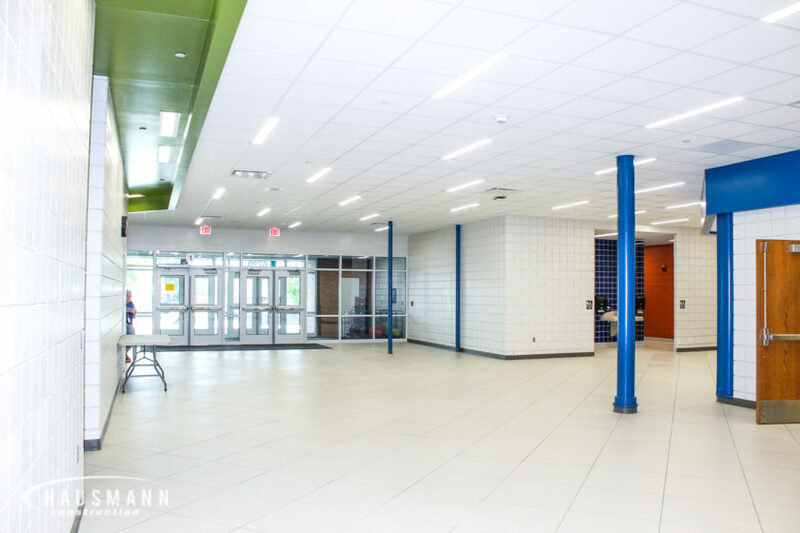 The project consisted of a new fire suppression system as well as upgrades to the fire alarm system in the building. 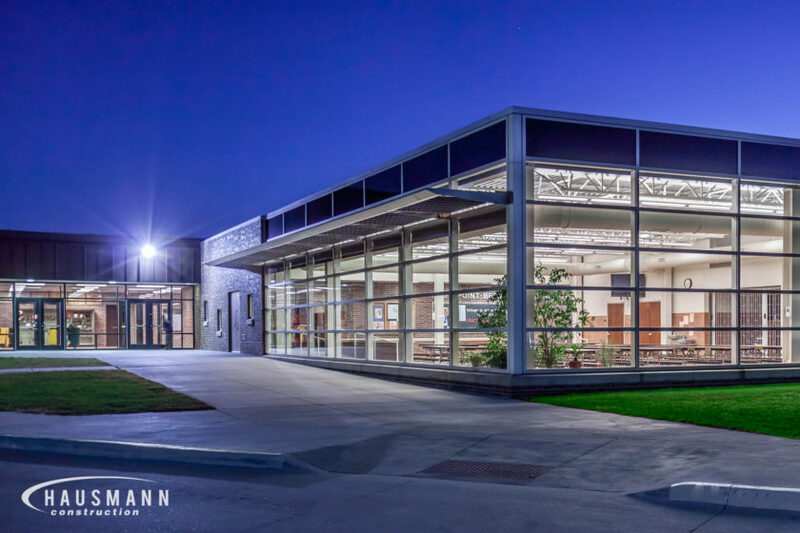 A new “main” entrance and canopy were installed to mirror the entrance and canopy across the street at the new high school. 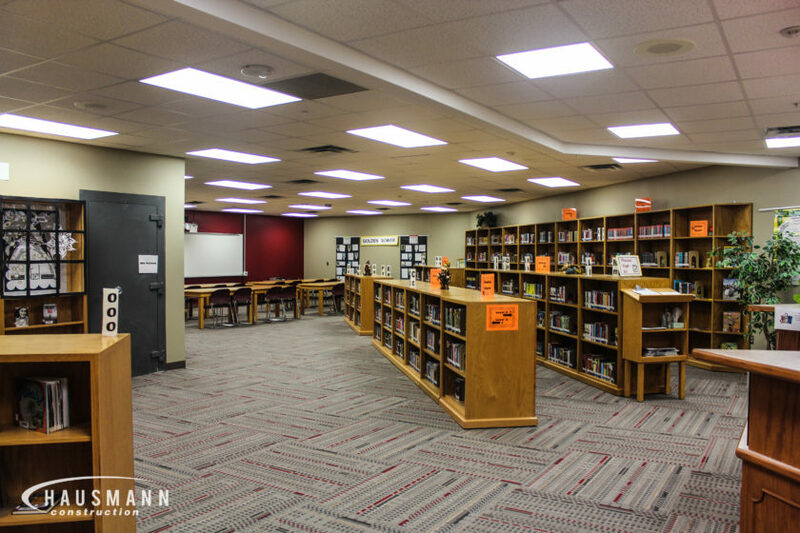 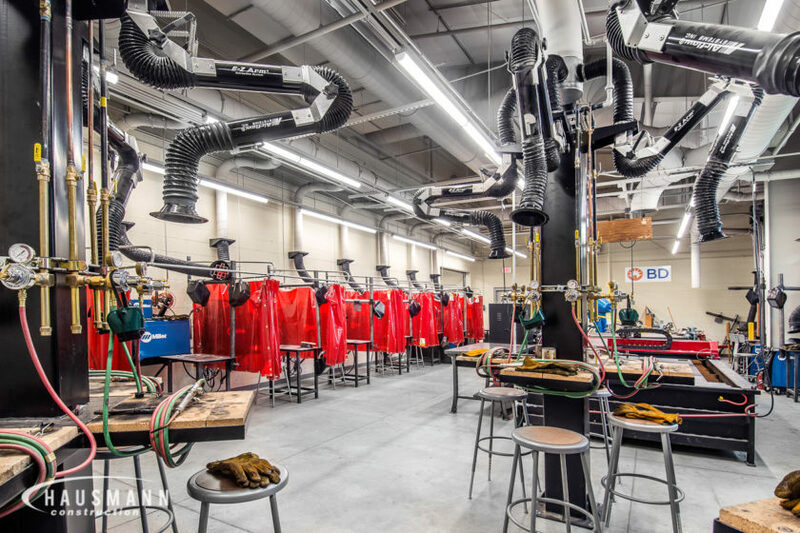 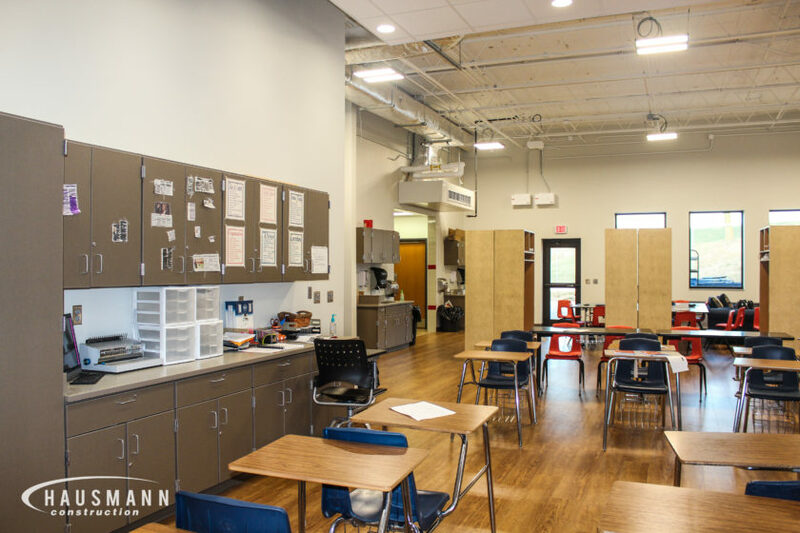 The old woodworking shop became the new center for alternate educational learning and the old administration offices were transformed into the new media center. 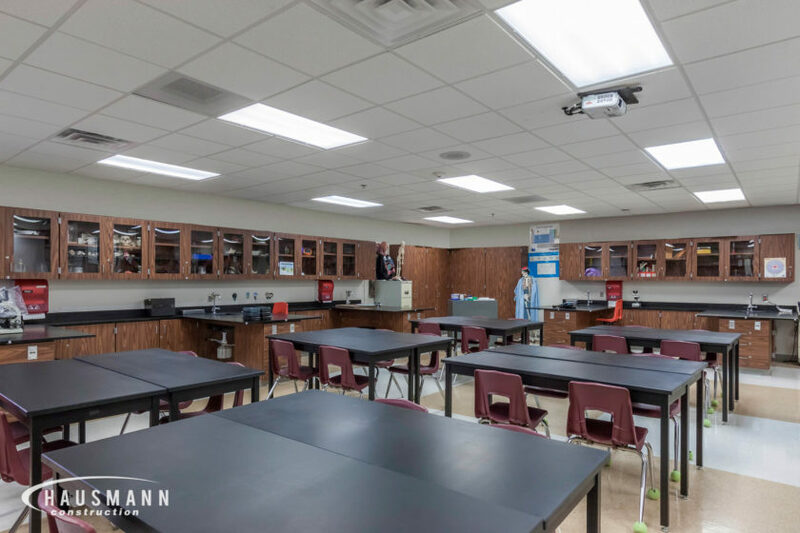 Other renovations included transforming old classrooms into new science classrooms and the new administration offices and lounge areas. 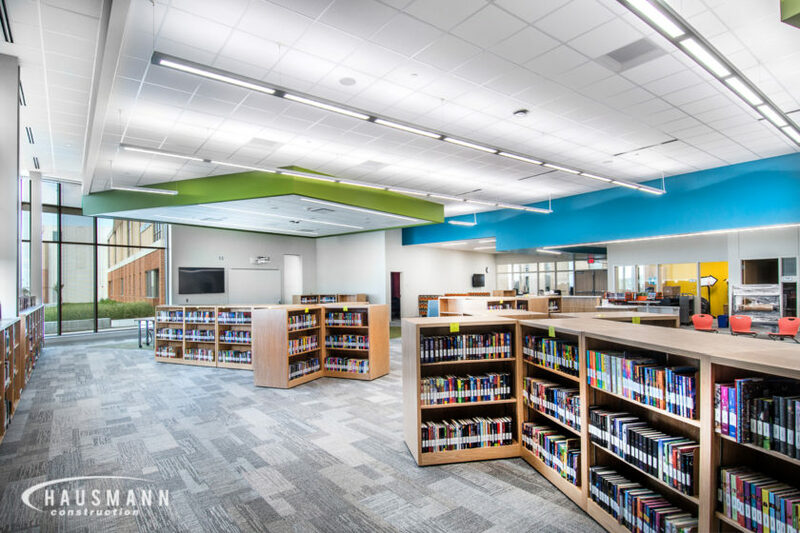 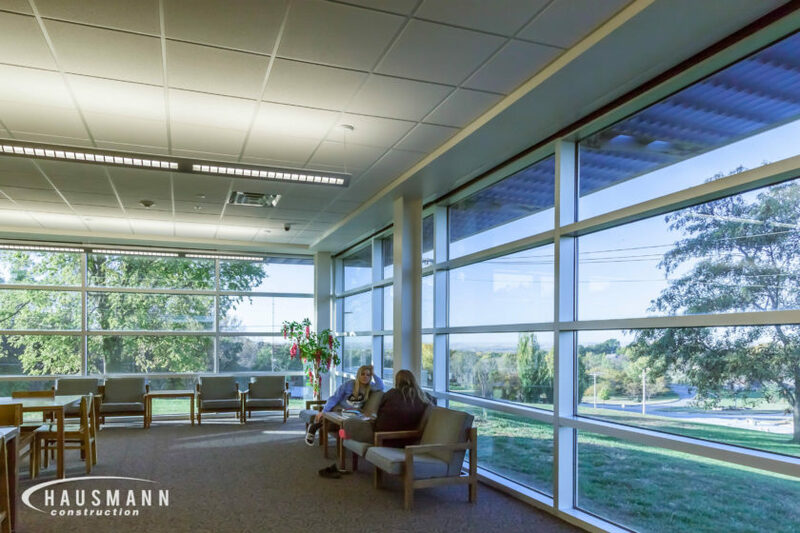 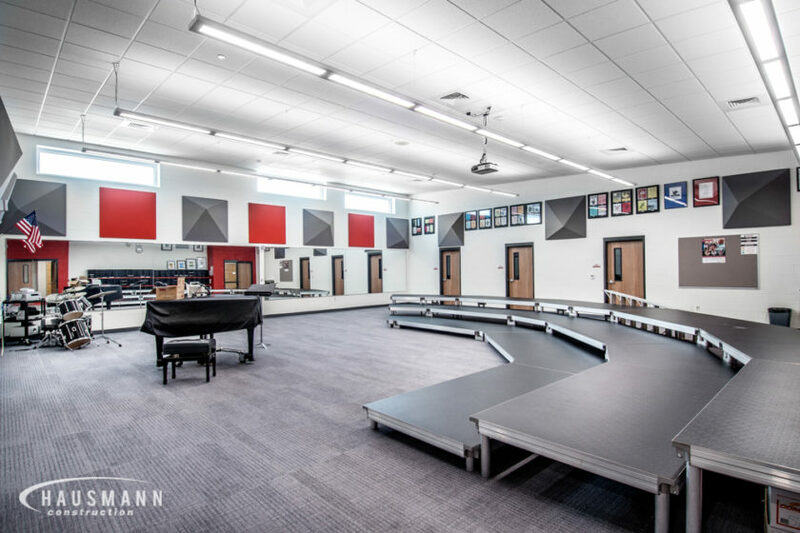 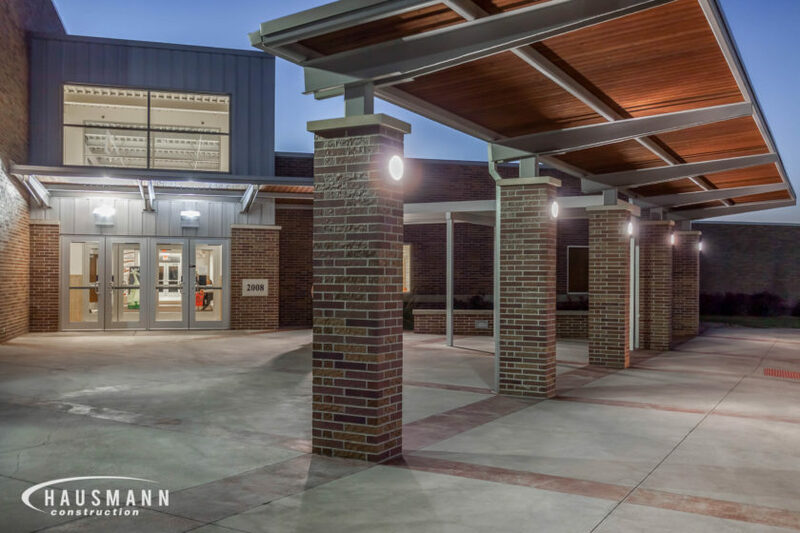 Hausmann Construction served as the Construction Manager for the new 67,000 square foot intermediate elementary school, including additions and renovations to the high school facility. 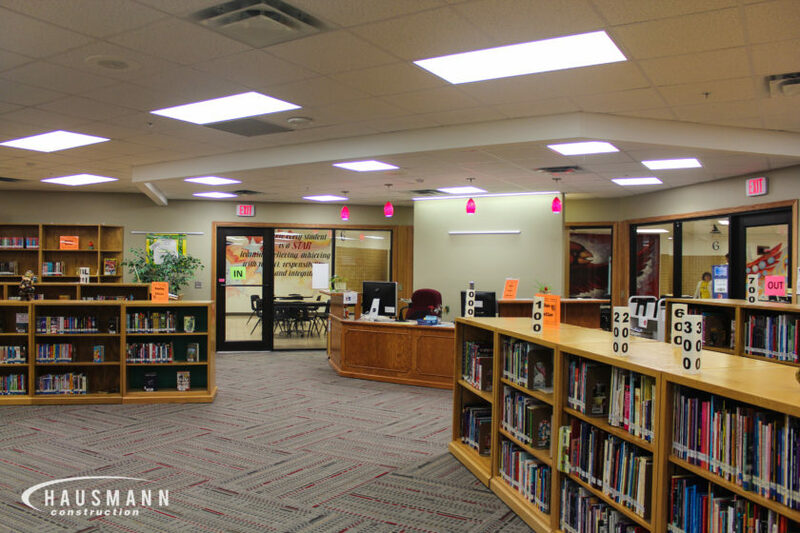 Hausmann was an integral part in pre-bond election services. 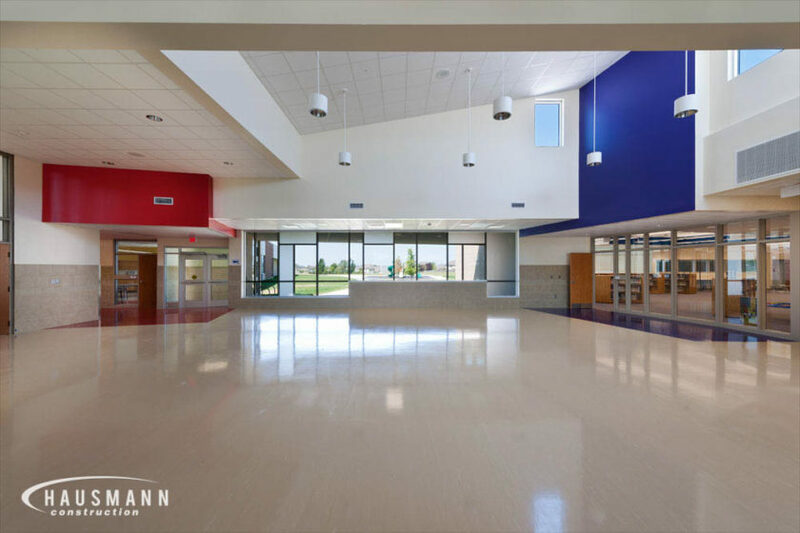 The main tasks performed by Hausmann Prebond included site selection, budget analysis and constructability review. 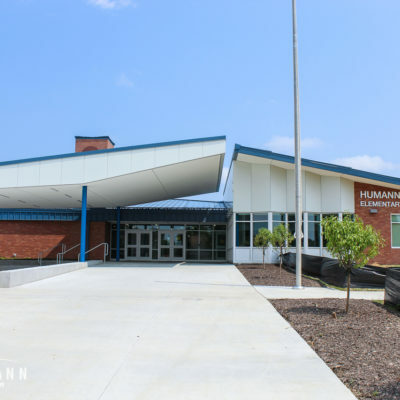 The project was bid out in multiple bid packages generated by Hausmann allowing a “fast track” approach while the design was still in progress. 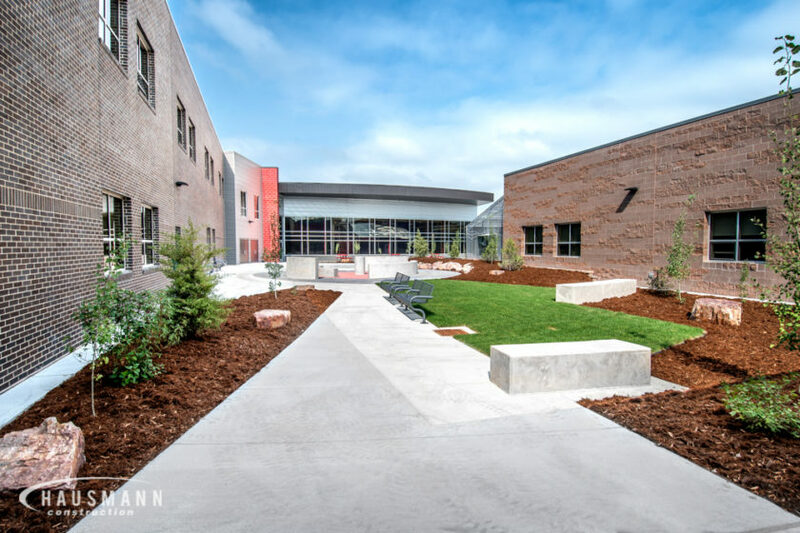 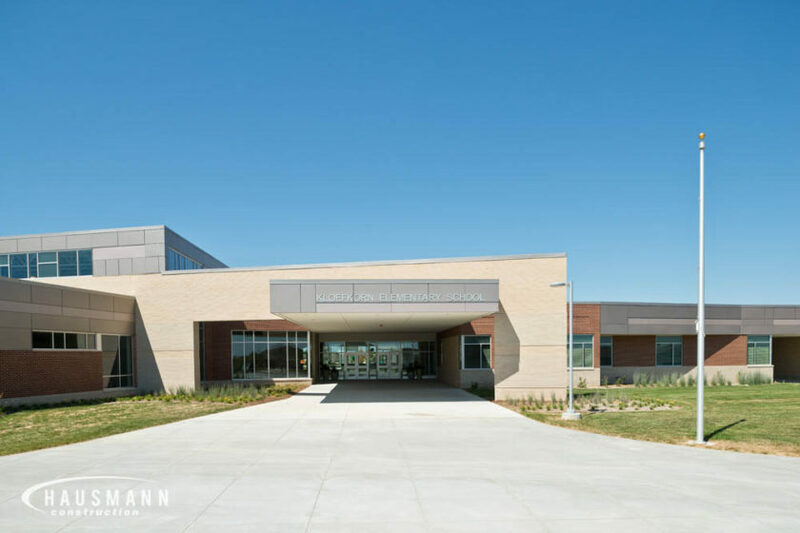 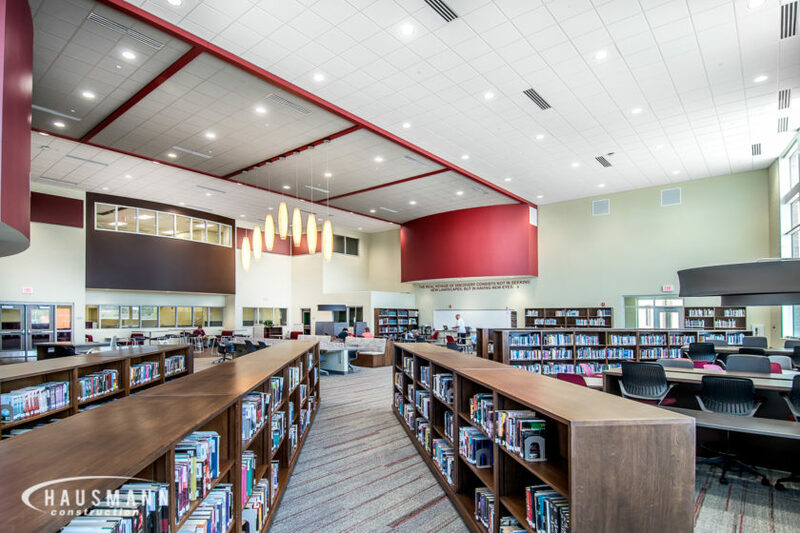 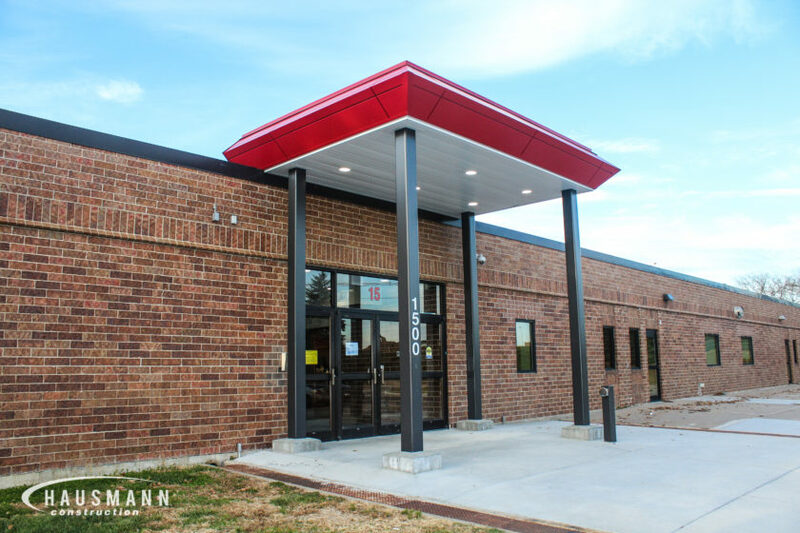 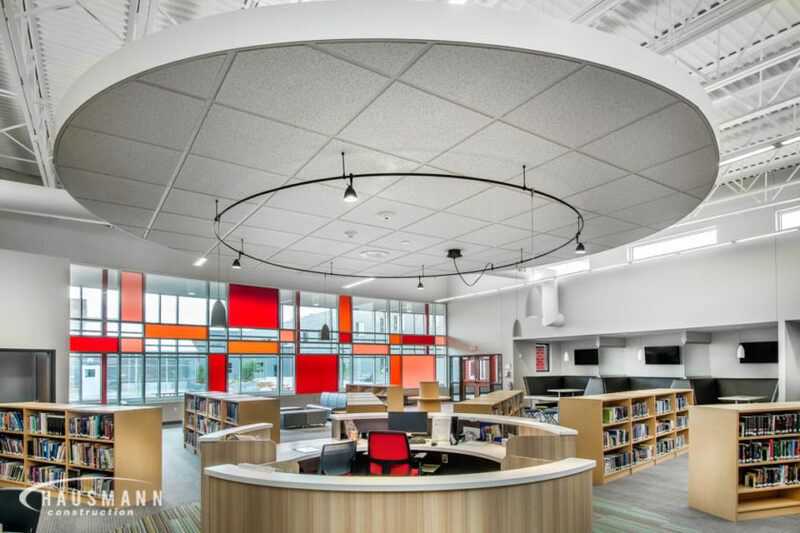 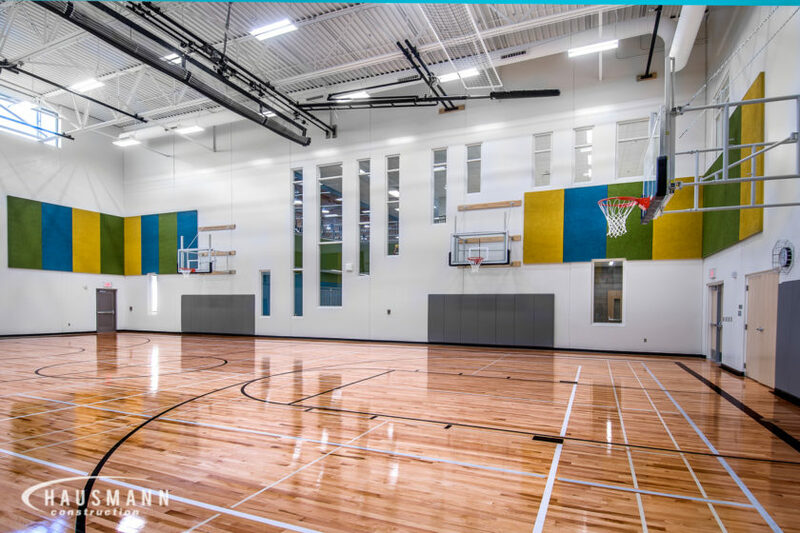 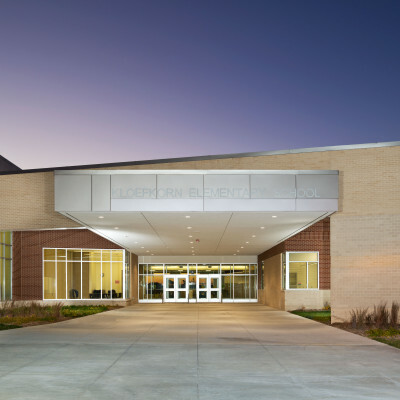 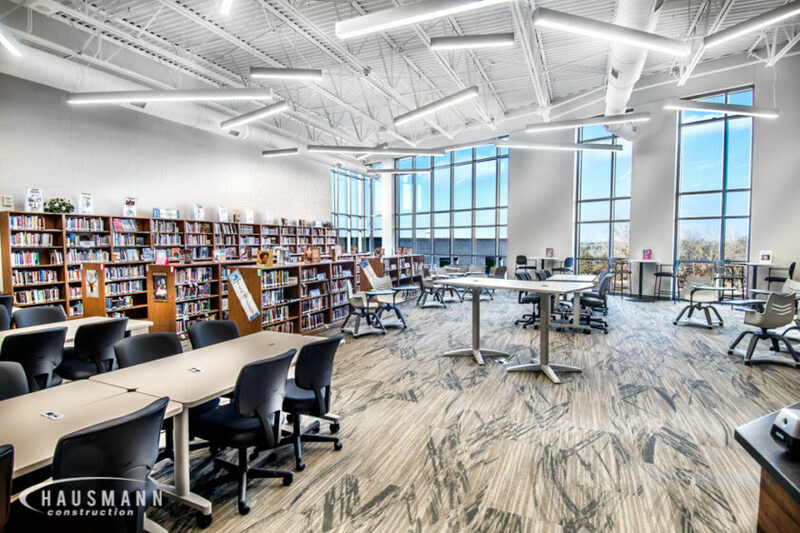 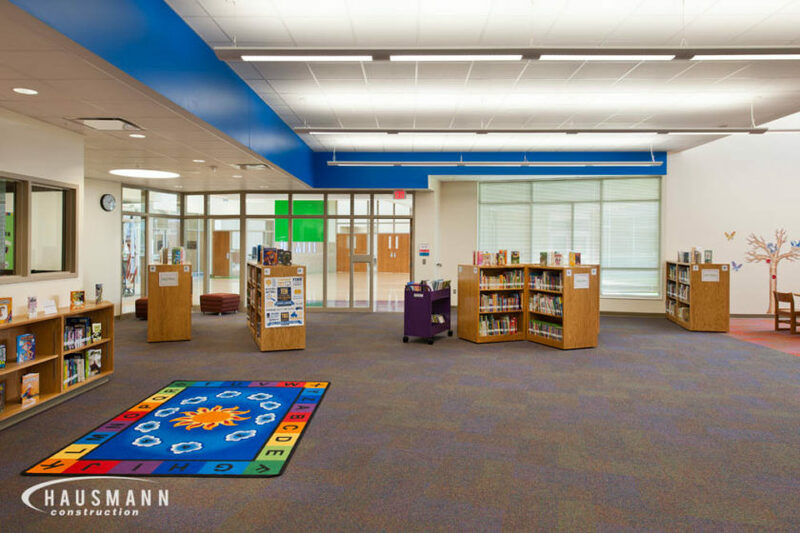 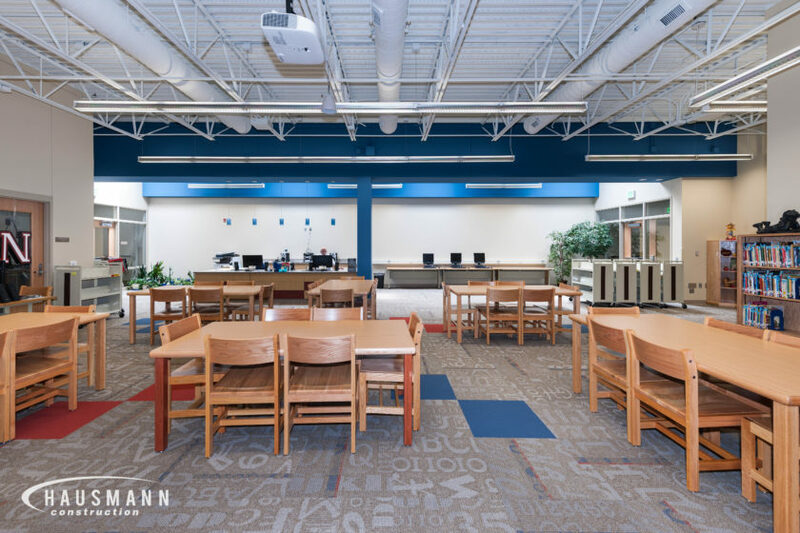 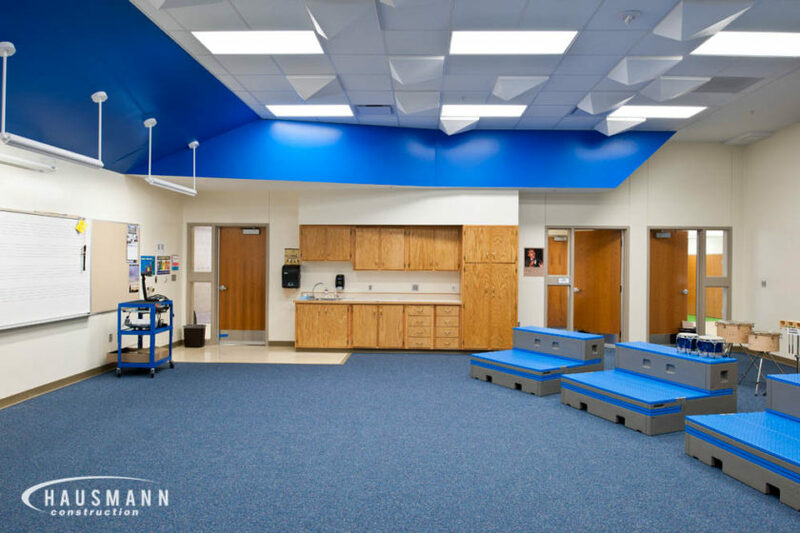 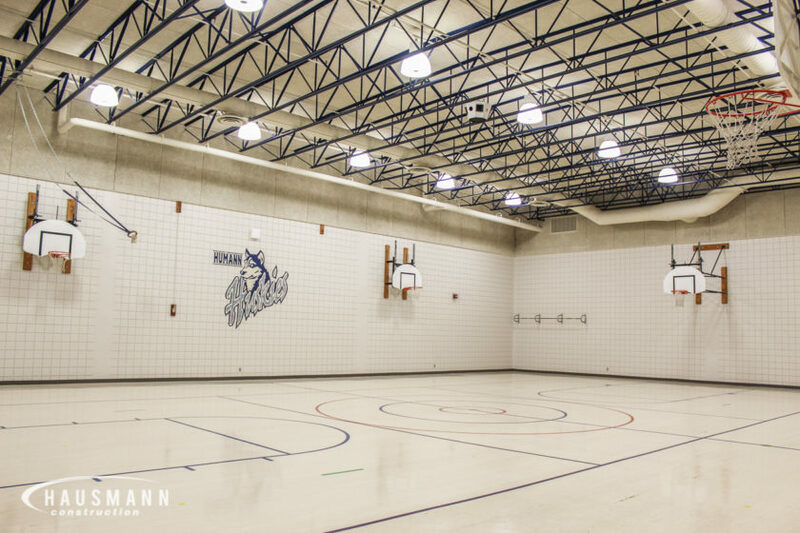 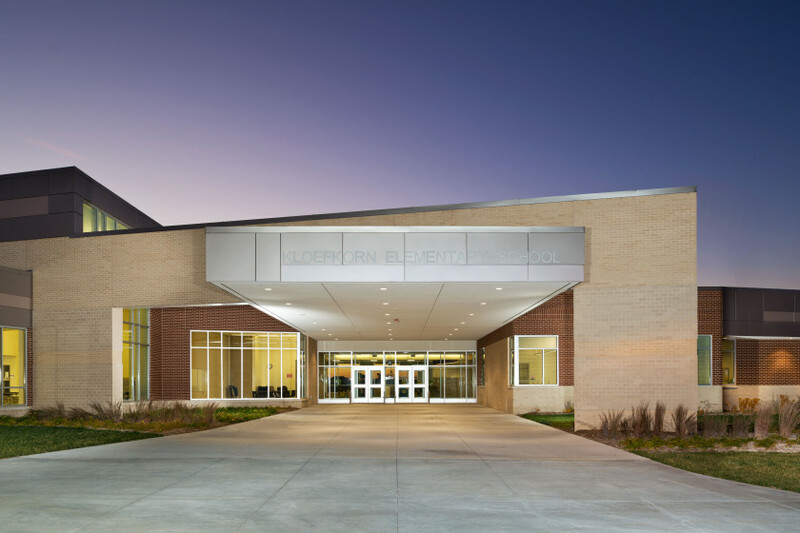 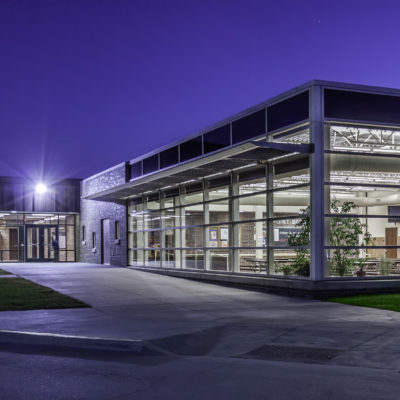 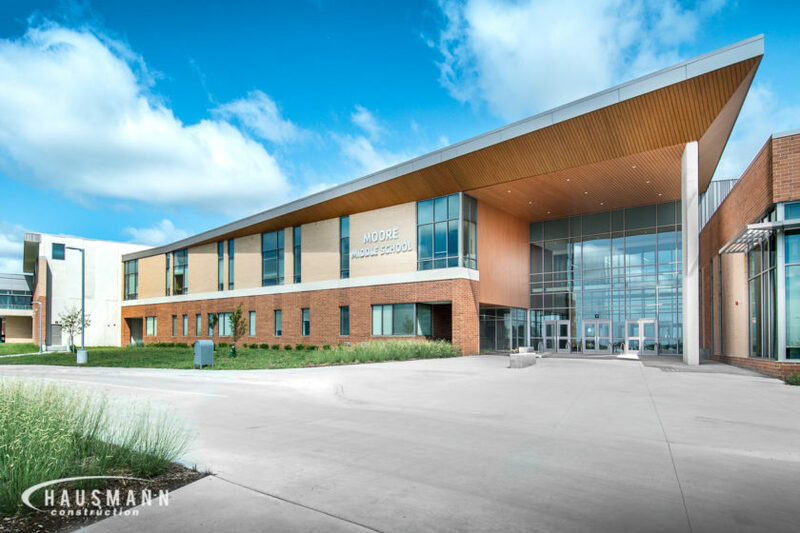 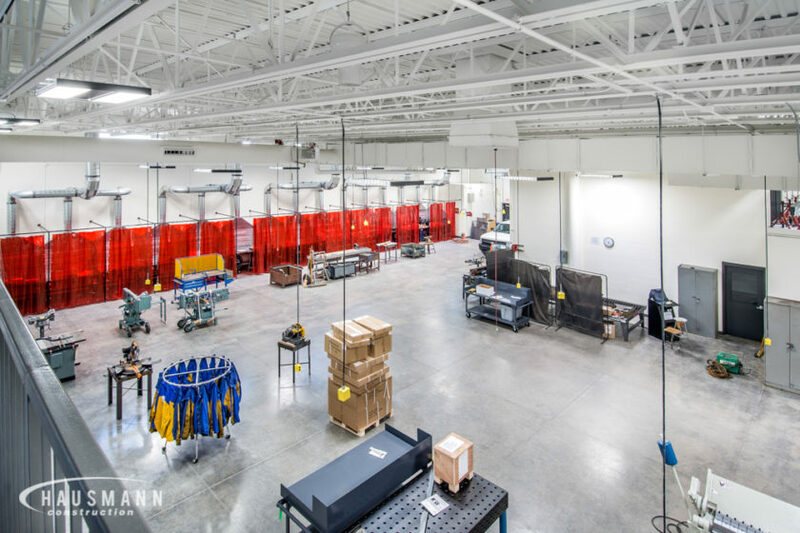 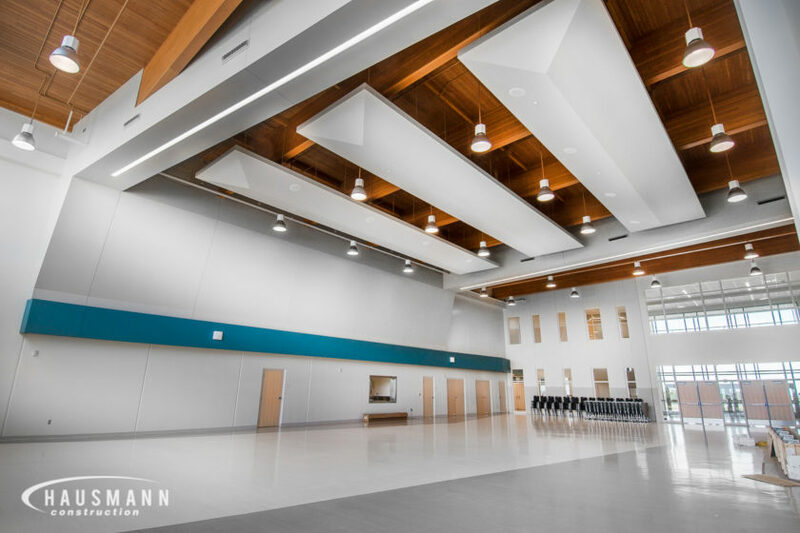 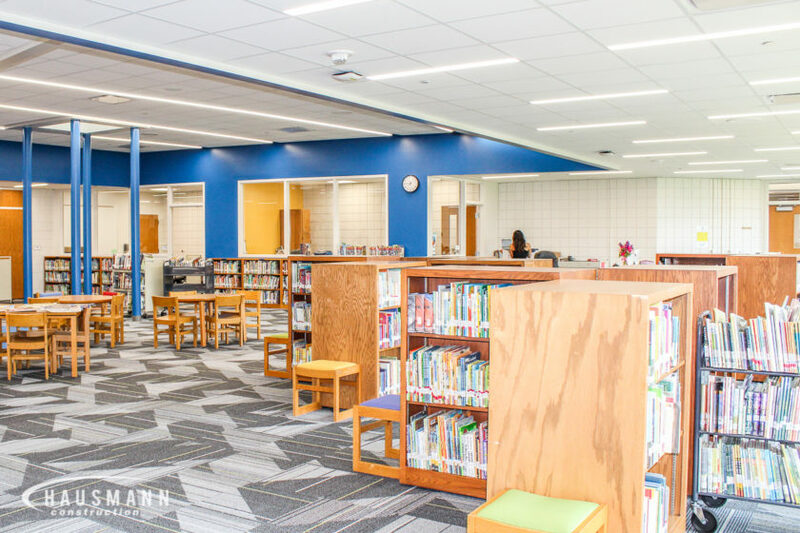 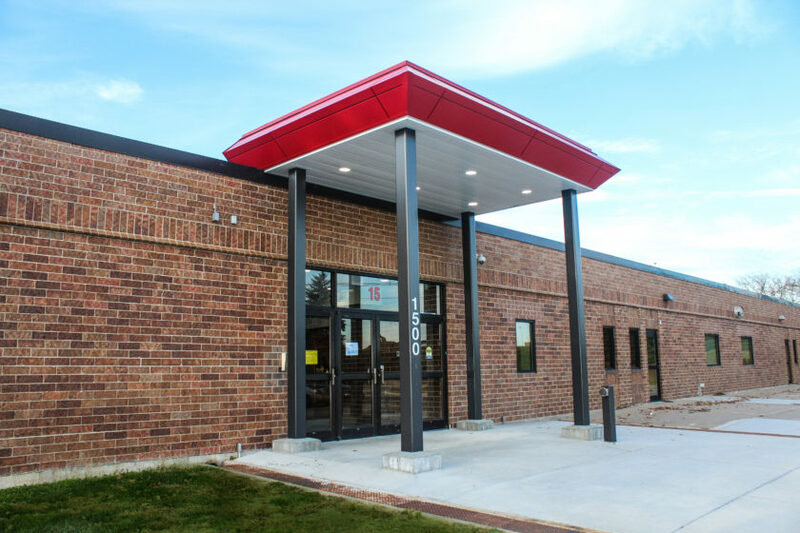 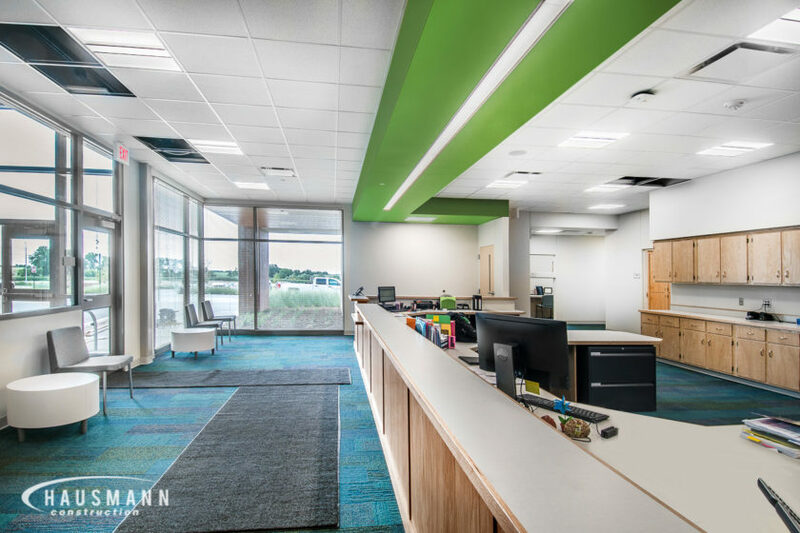 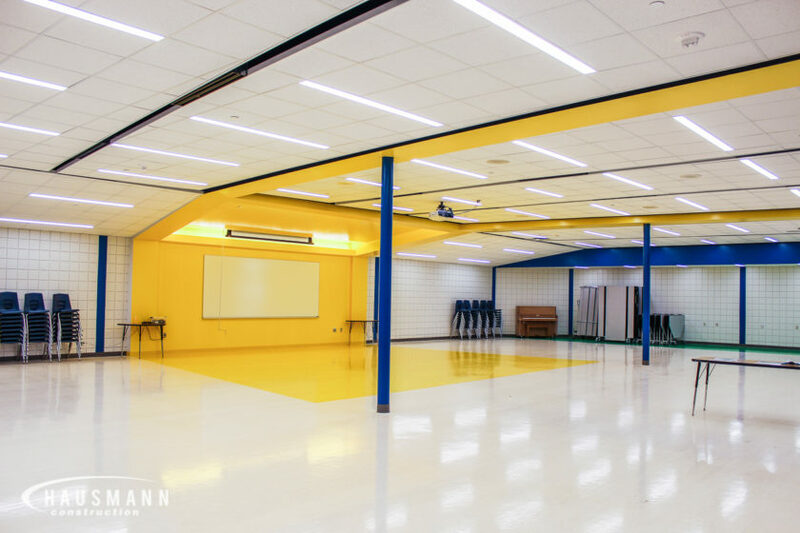 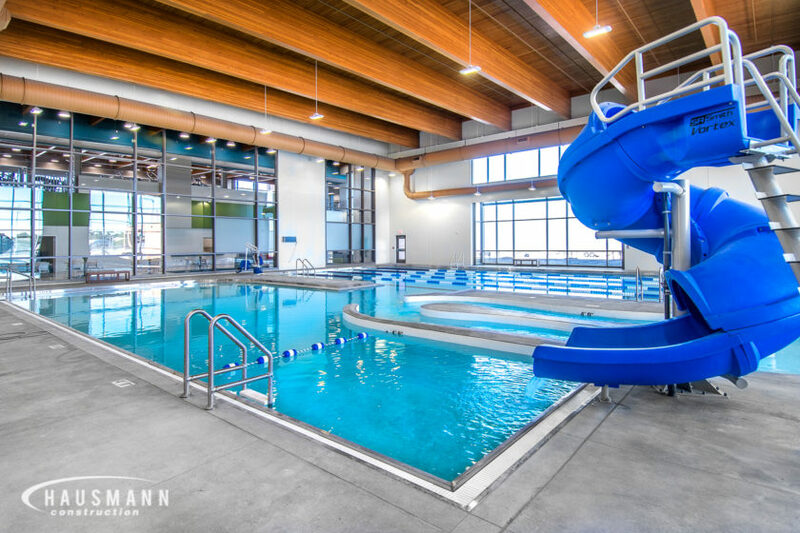 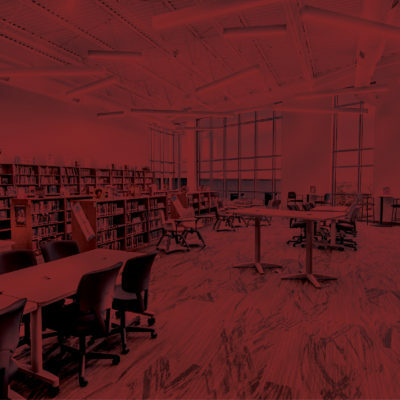 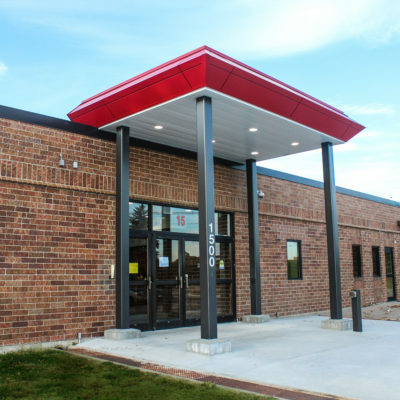 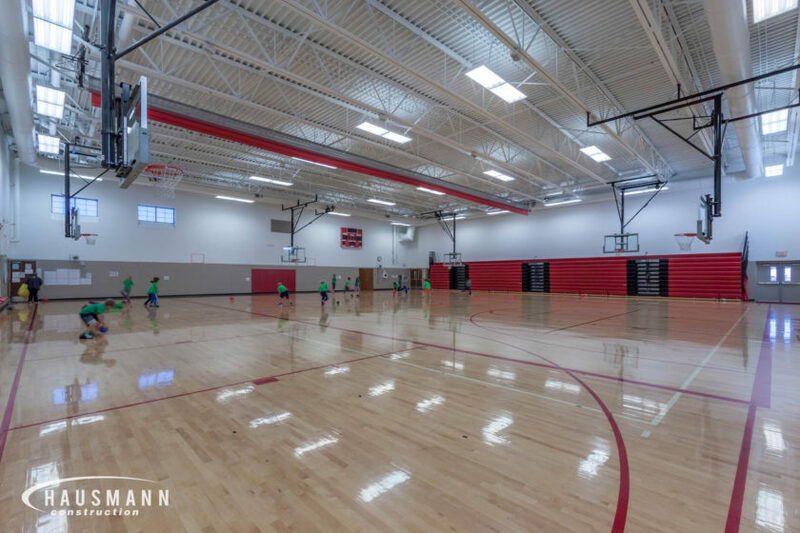 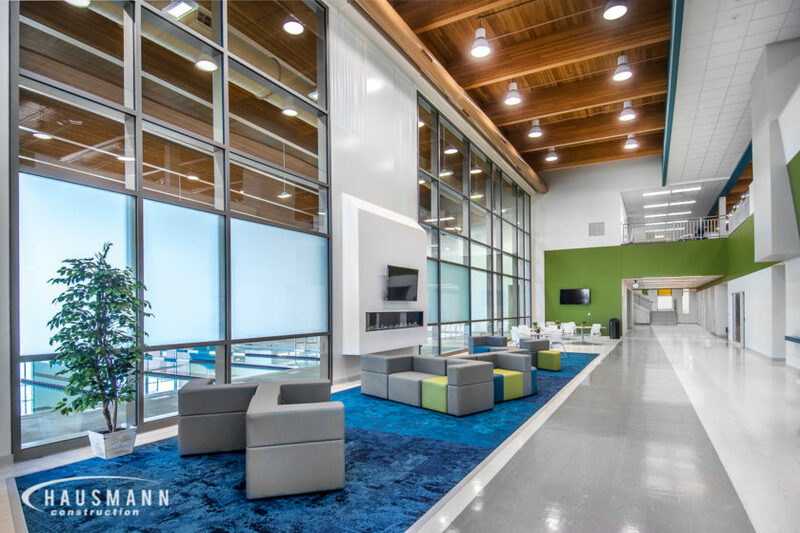 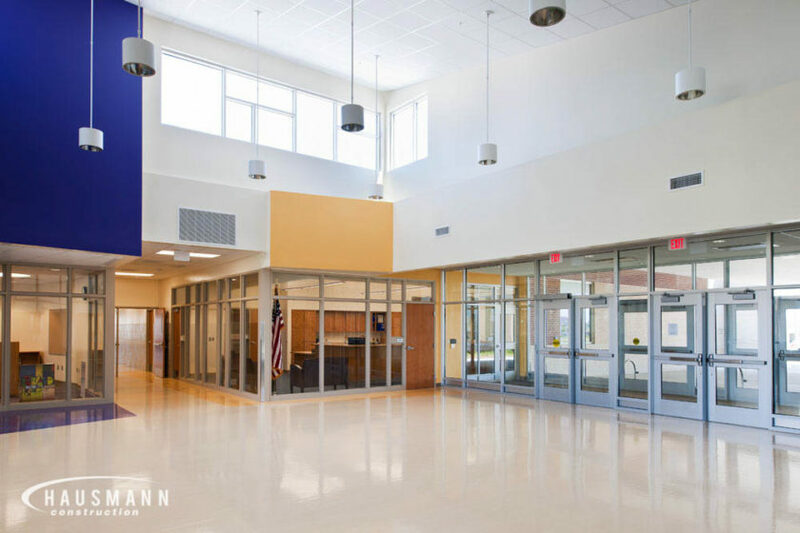 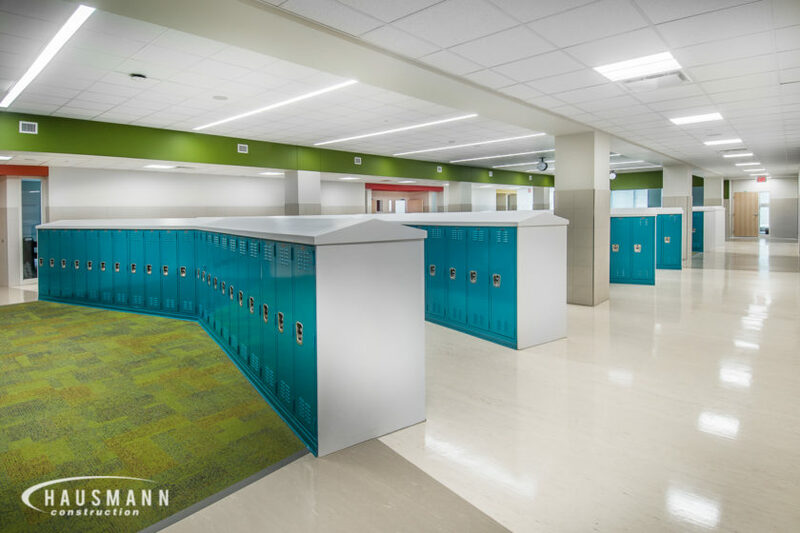 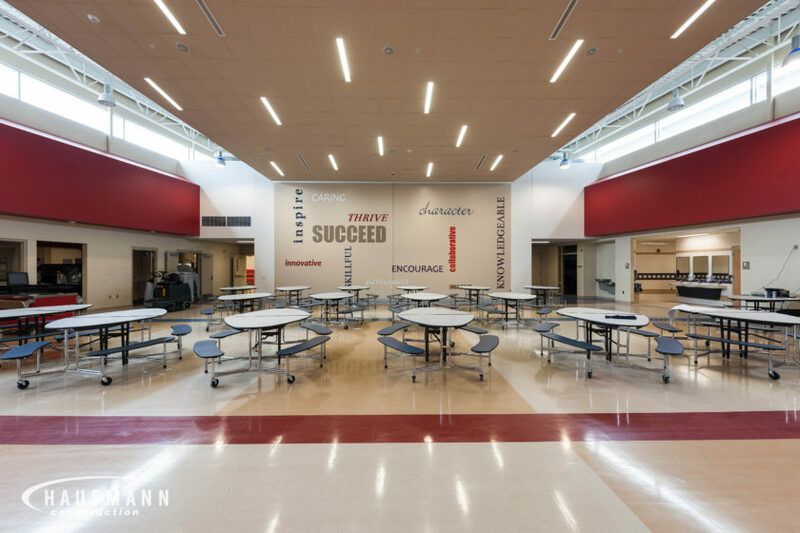 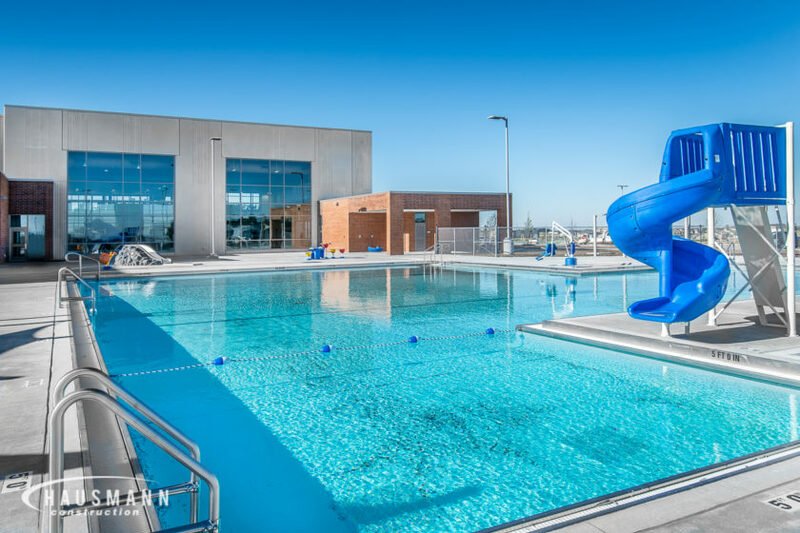 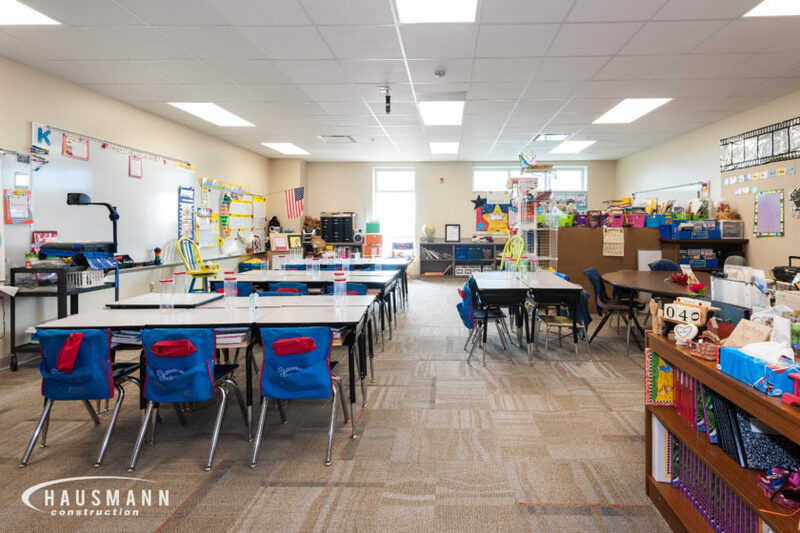 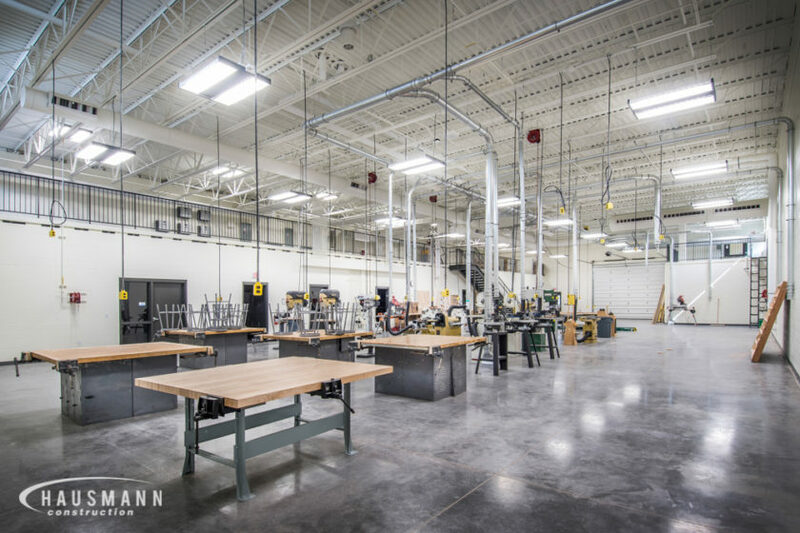 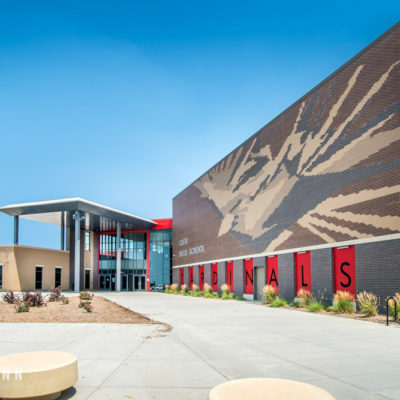 Prior to serving as General Contractor for Lincoln Public School’s 72,000 square foot facility, Hausmann Construction provided constructability and budget assistance to the design team. 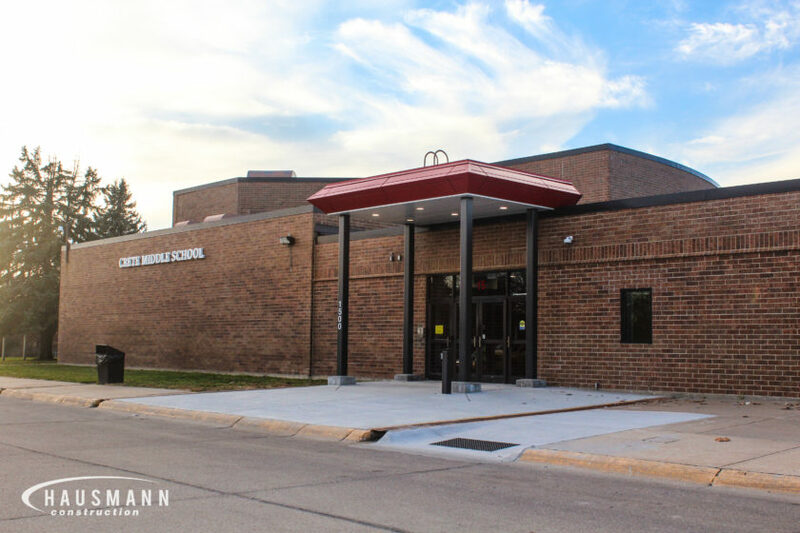 Once awarded the project, Hausmann led the efforts to construct the new P-5 elementary school which is designed for future growth of the facility. 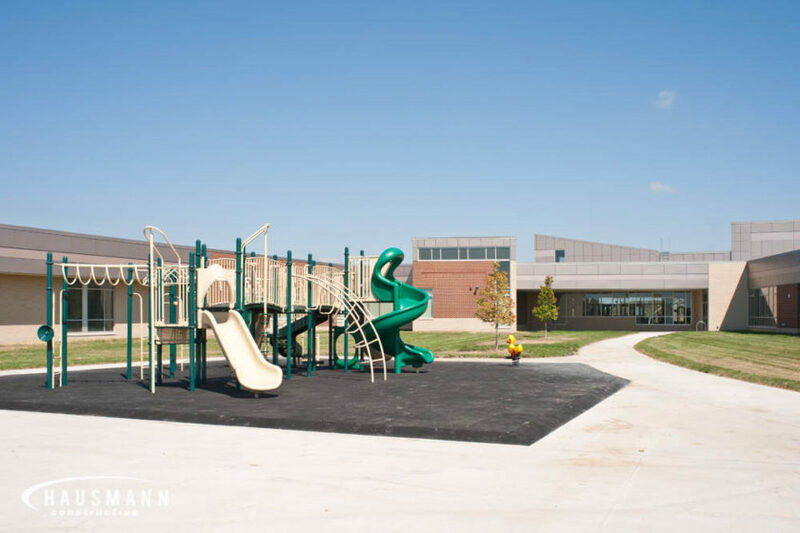 The main entrance features a large canopy to provide shelter for the entry/exit of recess and play. 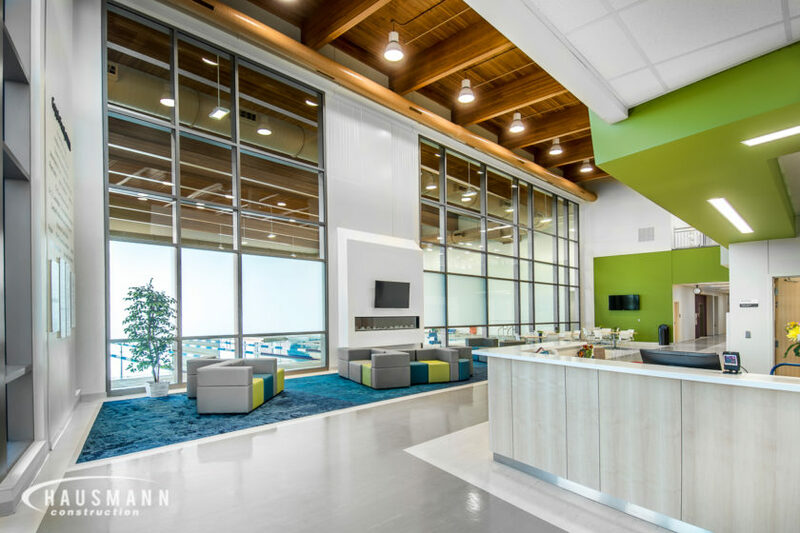 A vestibule opens to the welcome lobby, housing the reception area providing open views of the playfields. 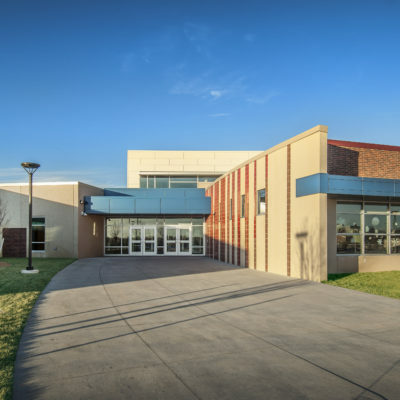 To facilitate after-hours events, a parking lot entrance is provided to access the gym and cafeteria/multipurpose area. 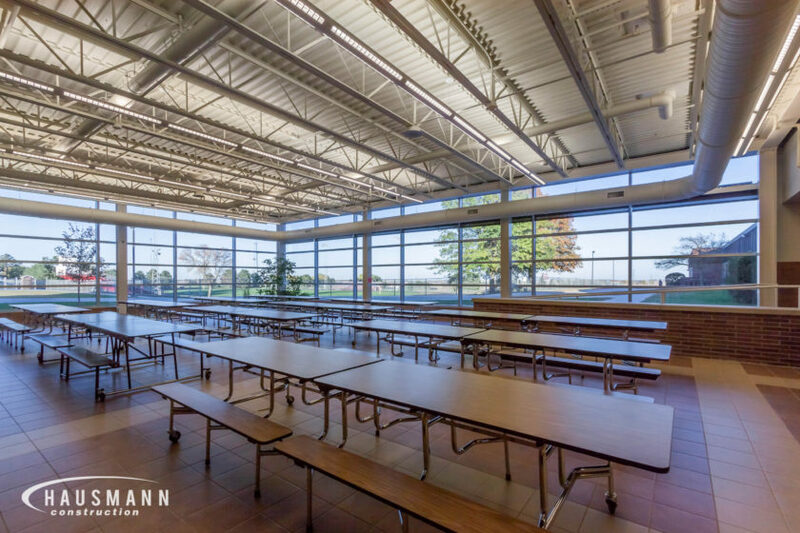 Hausmann was able to finish this project within budget and 45 days earlier than scheduled. 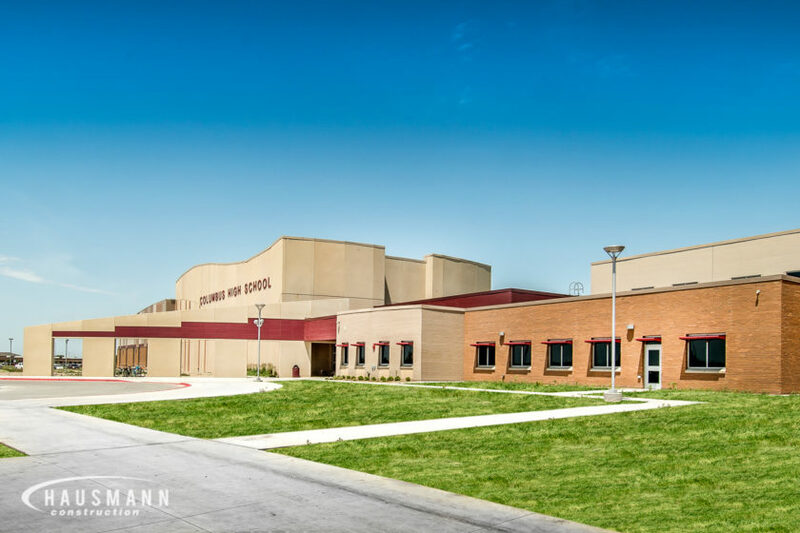 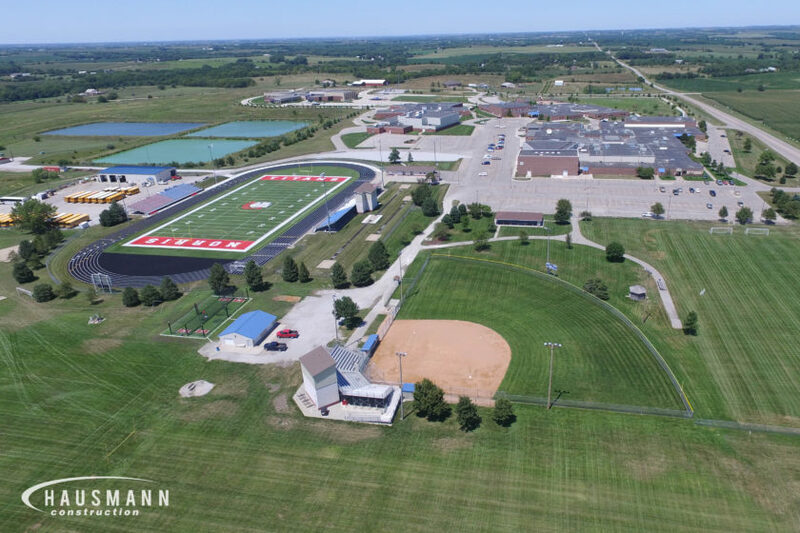 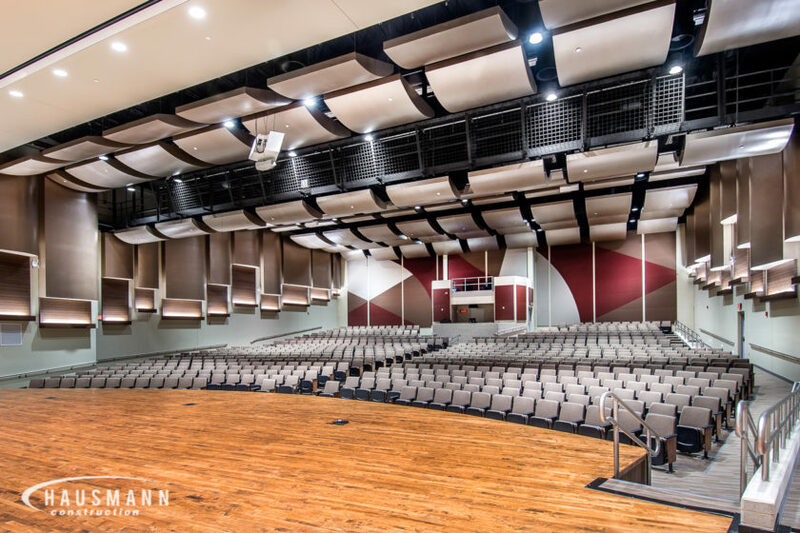 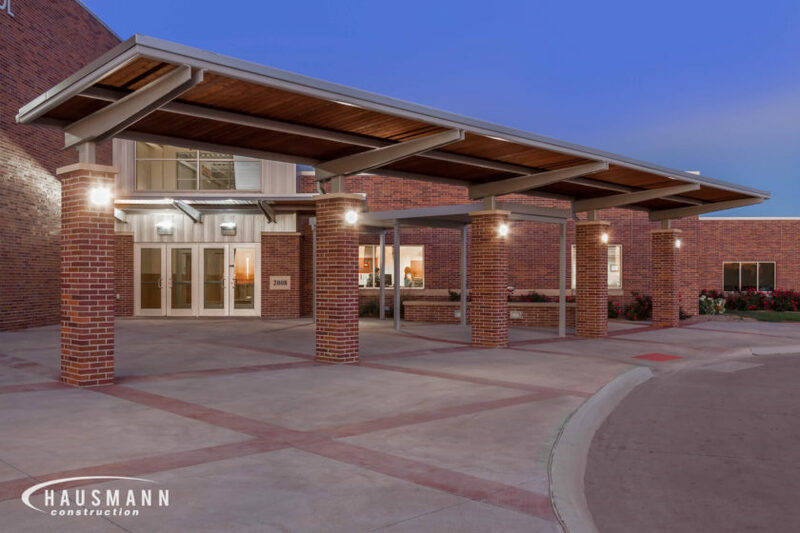 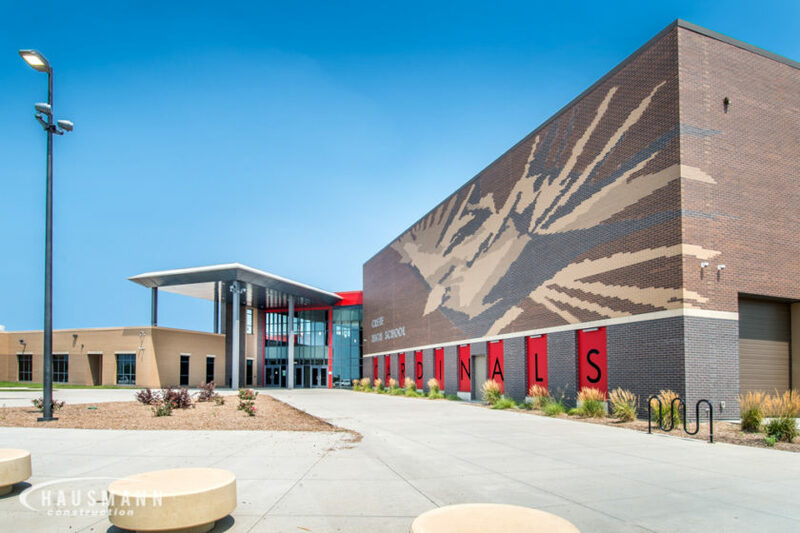 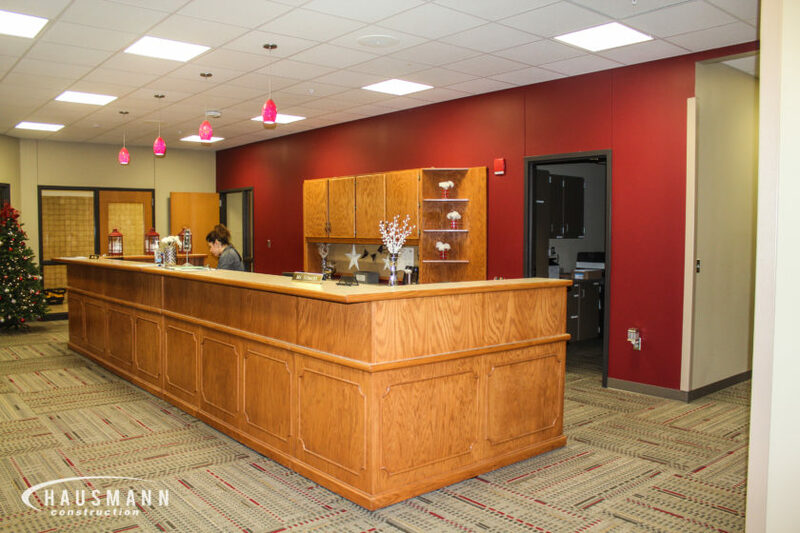 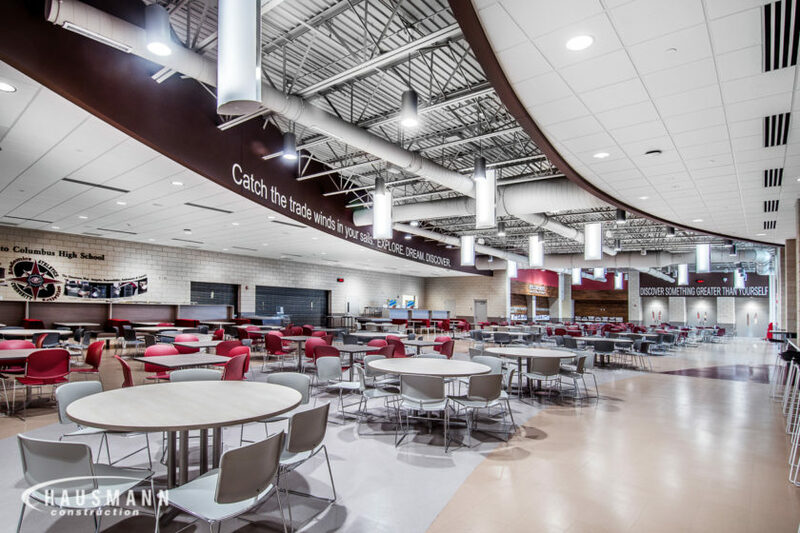 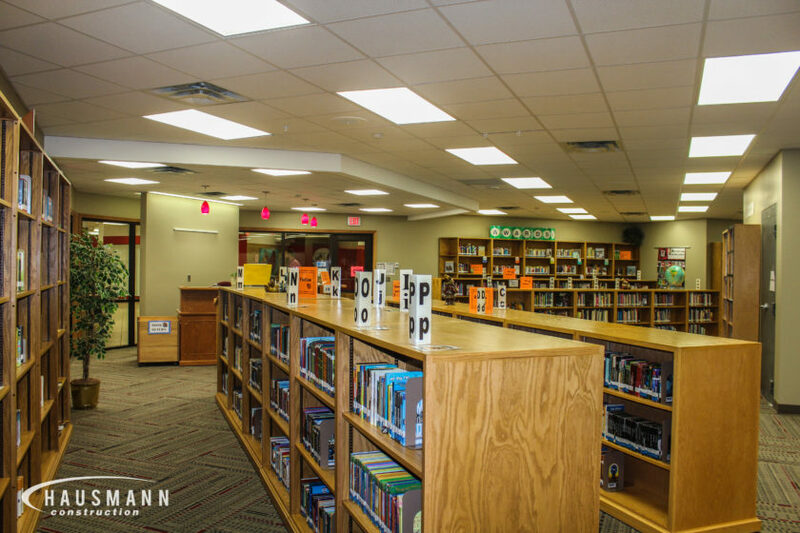 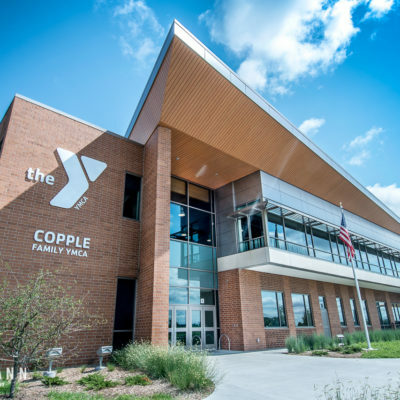 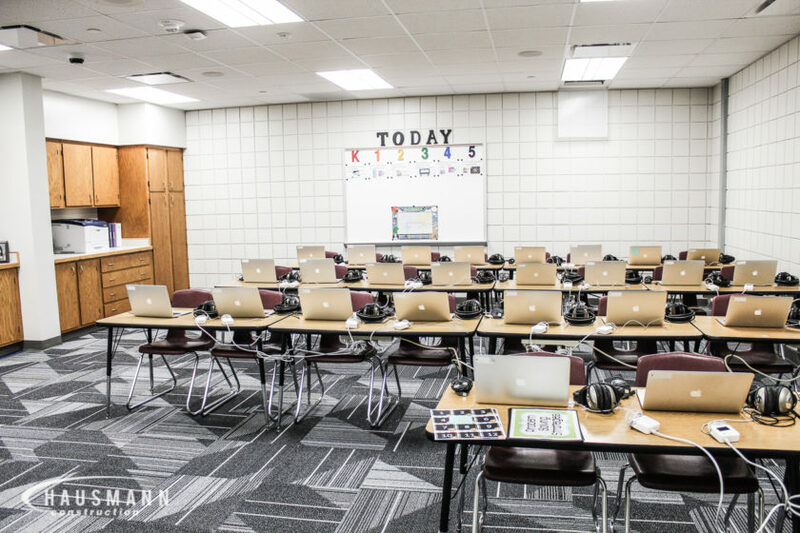 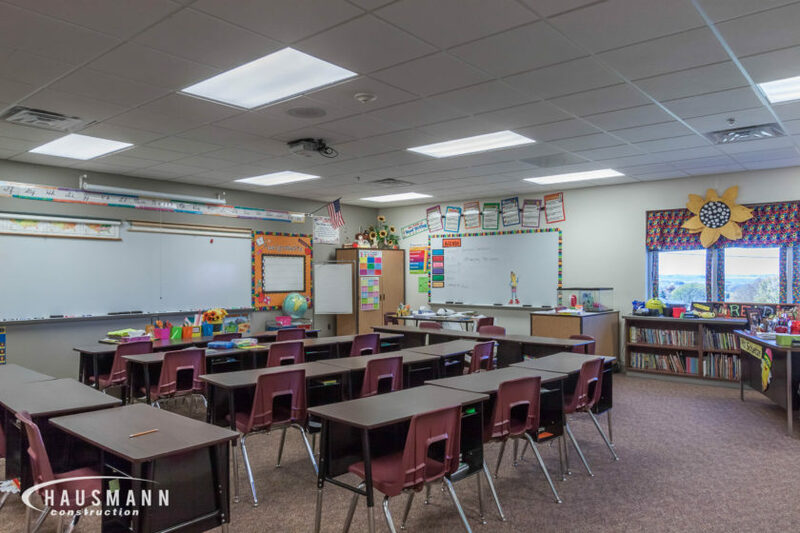 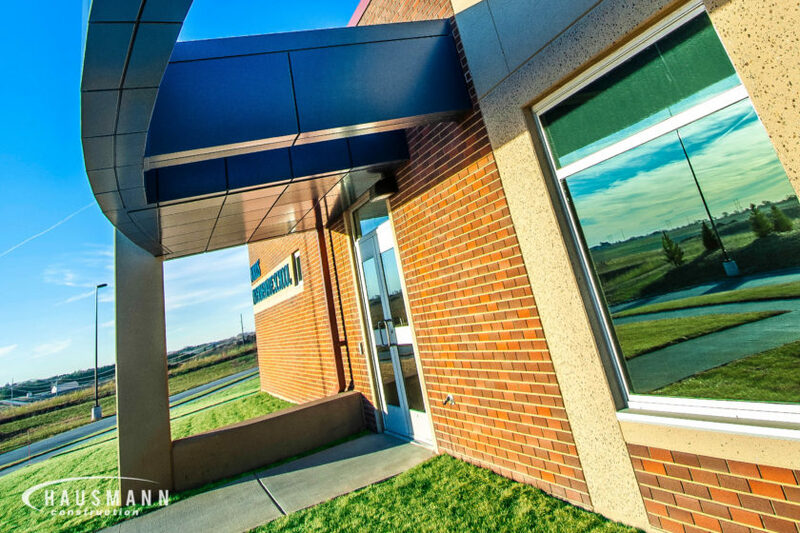 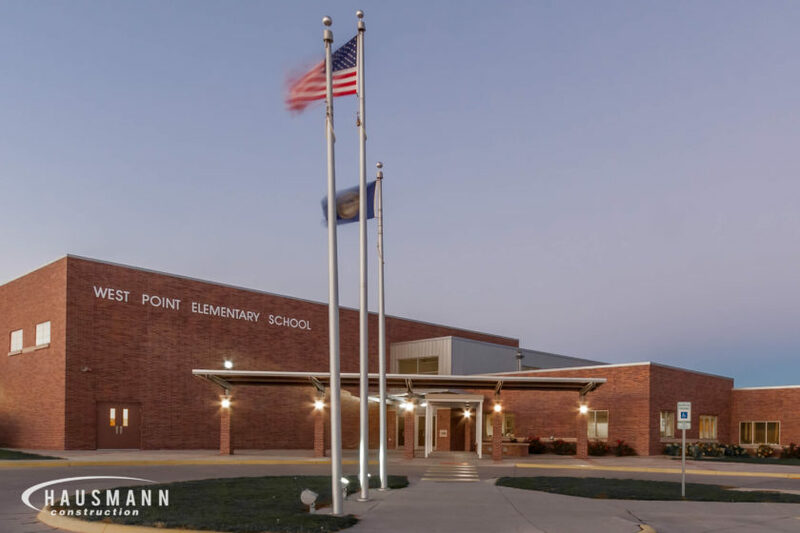 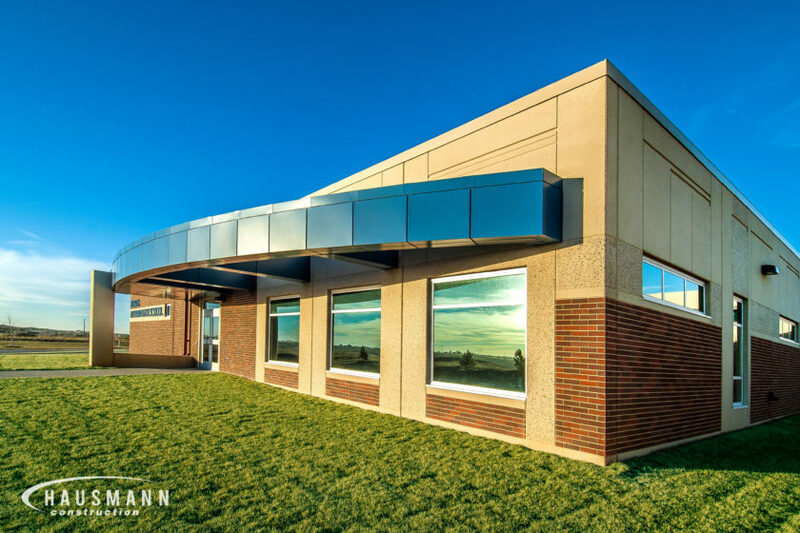 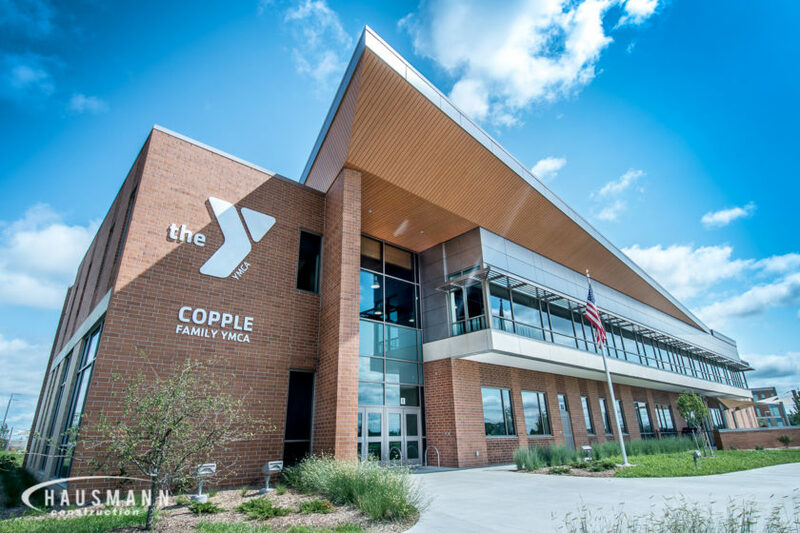 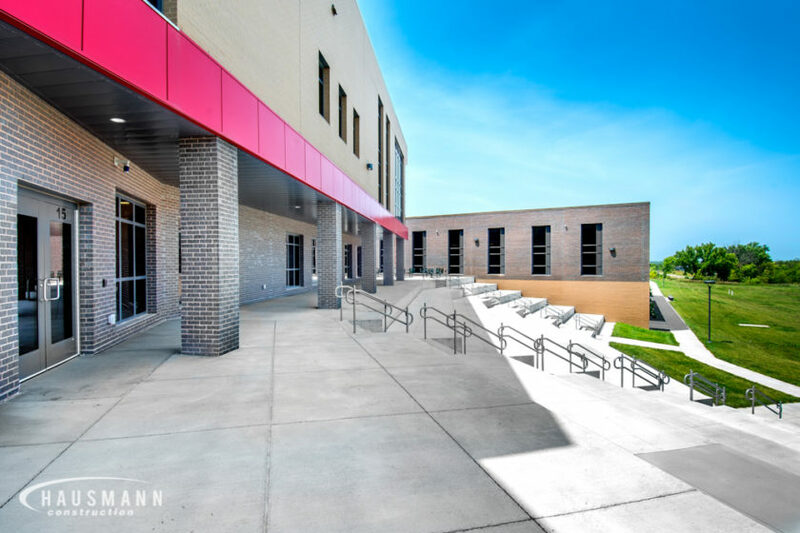 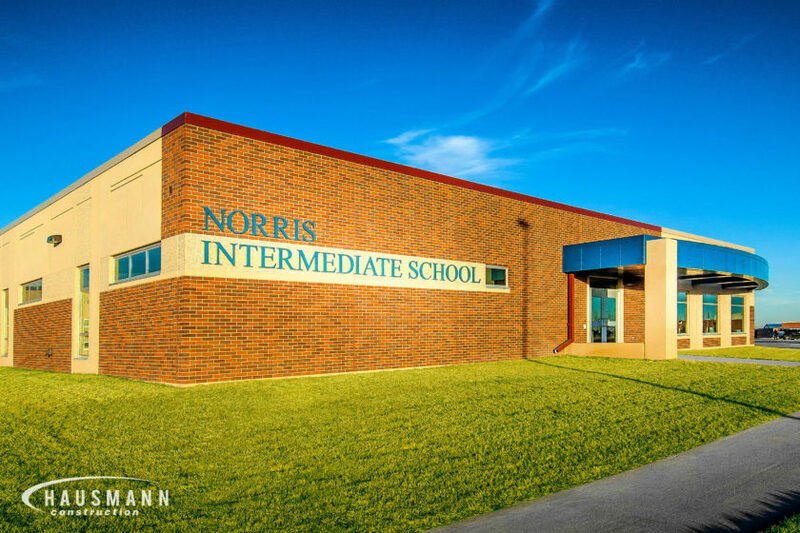 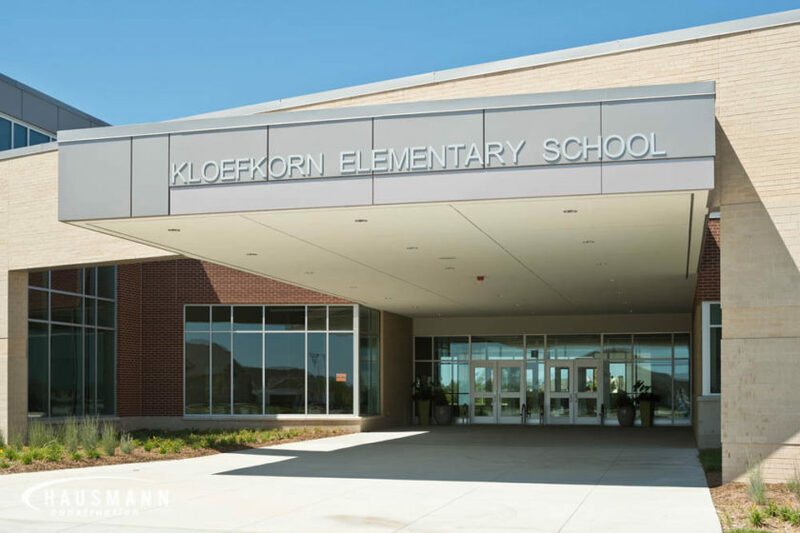 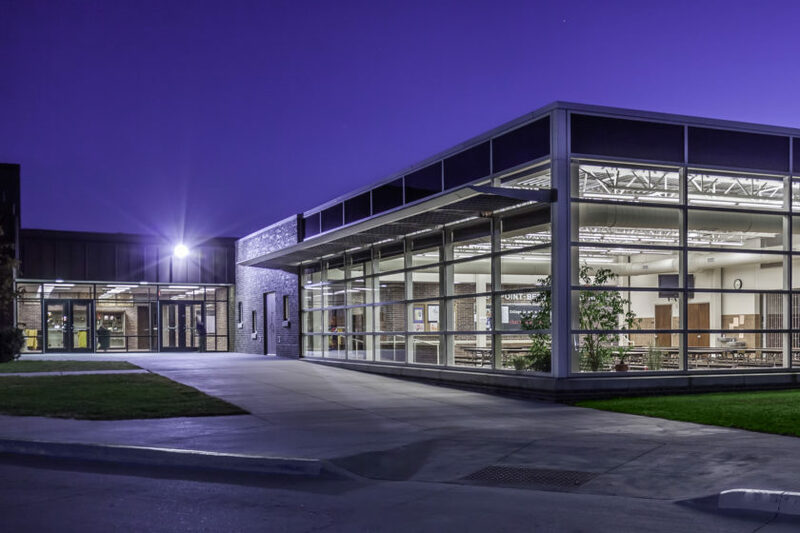 Hausmann served as the general contractor to complete the campus consolidation project for West Point Public Schools in West Point, Nebraska. 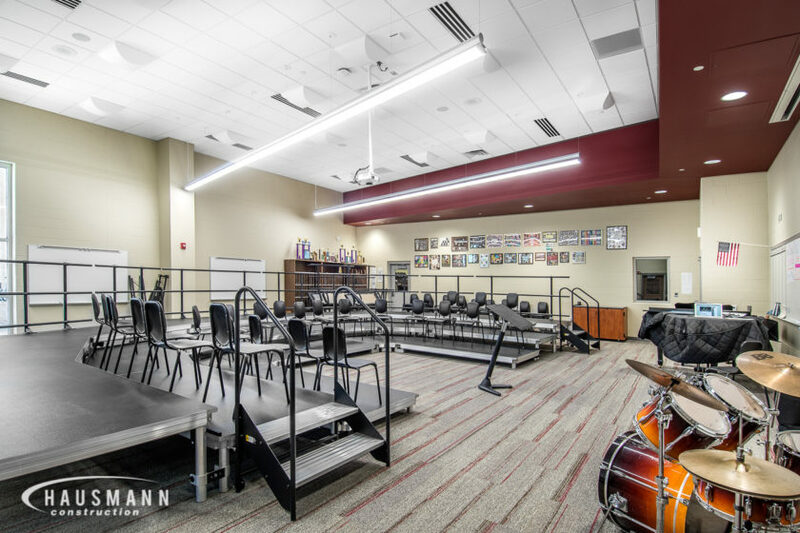 The project unified the West Point and Beemer School District’s K-12 on one campus. 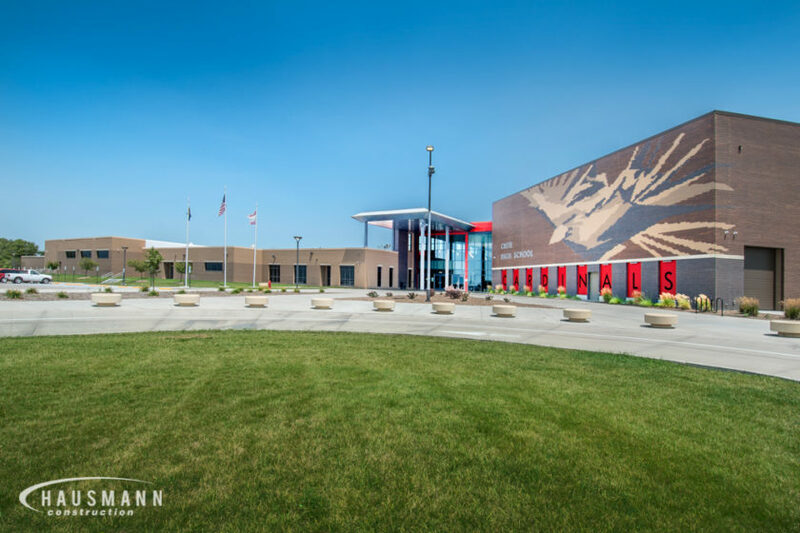 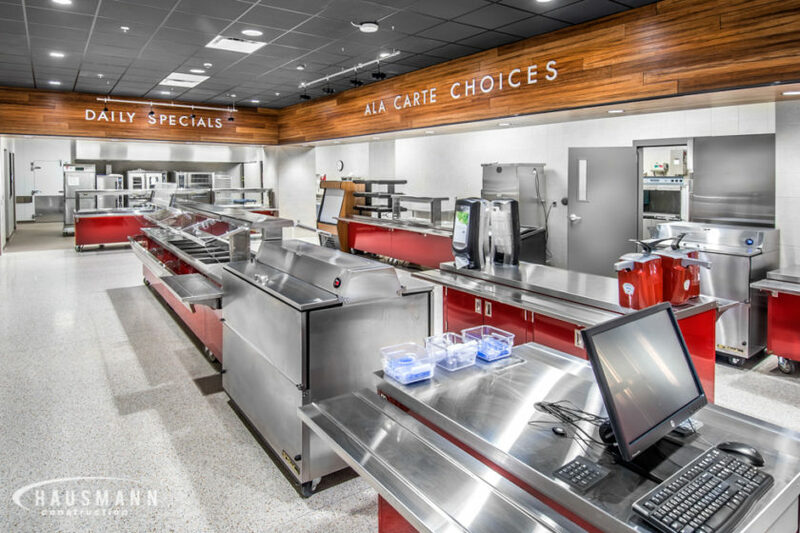 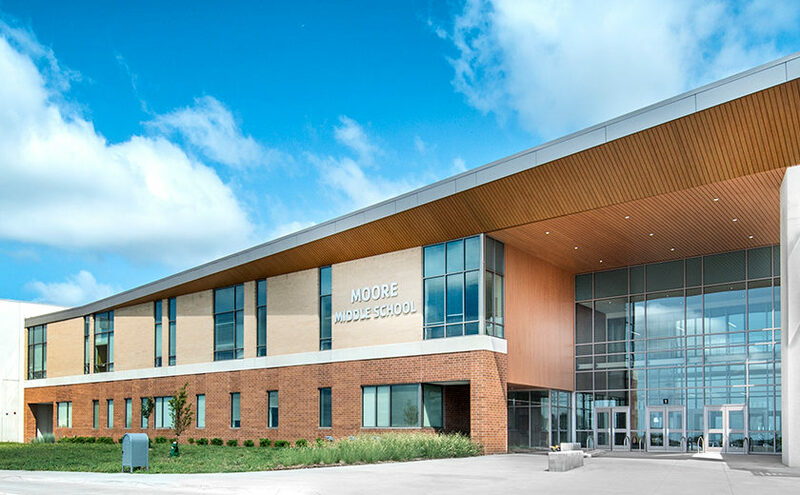 The project included a 65,000 square foot elementary building and was highlighted by constructing the new high school competition gym, a new kitchen, cafeteria and media center. 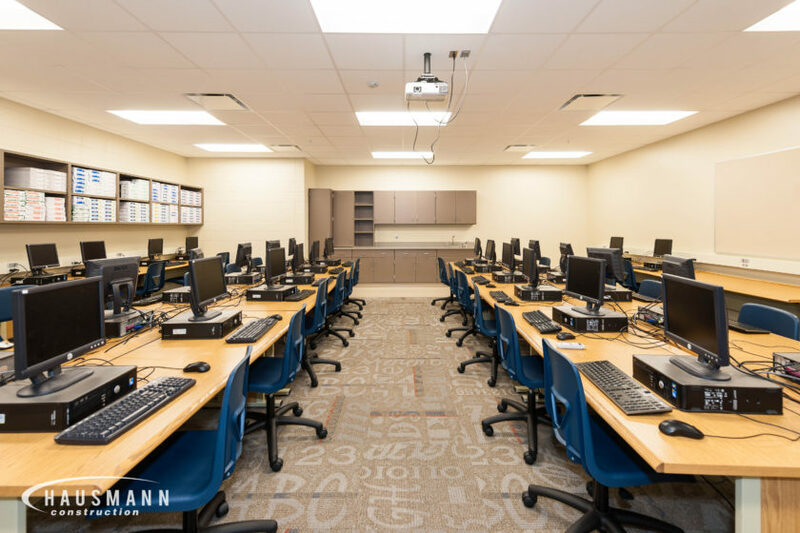 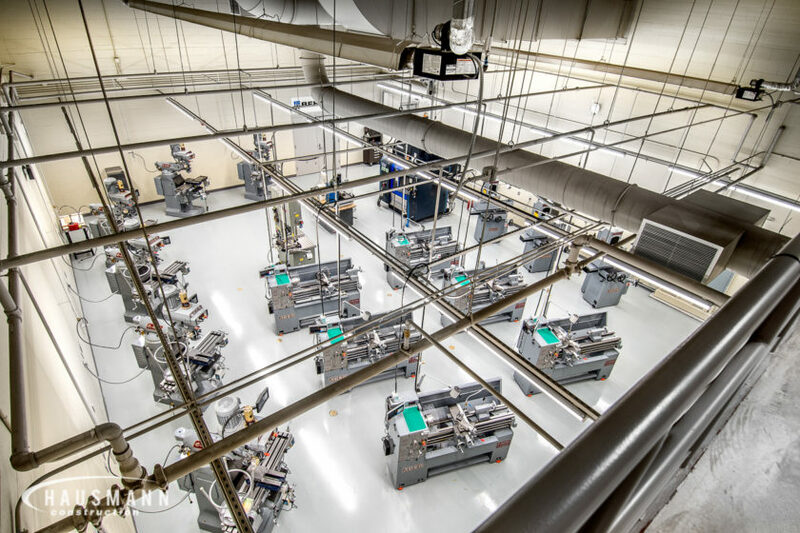 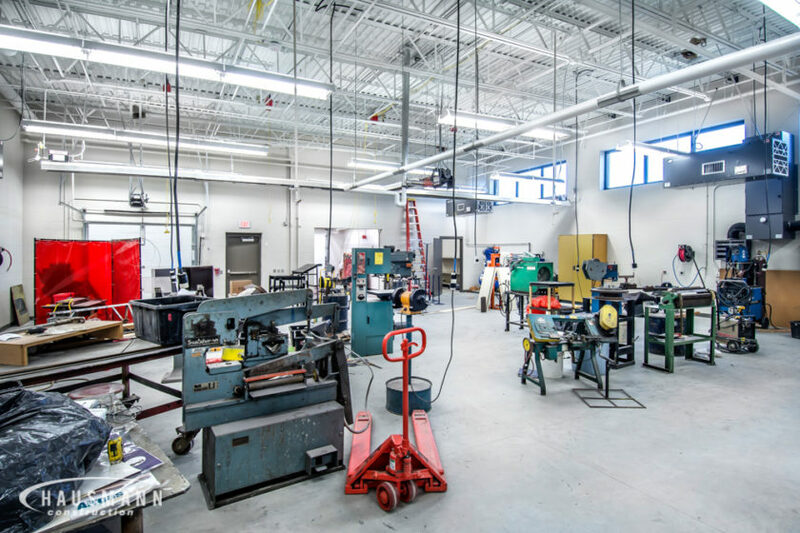 The project also included extensive renovations to the existing high school facility, including the relocation of the administration offices, construction of new science laboratories and installation of fire suppression through the facility.